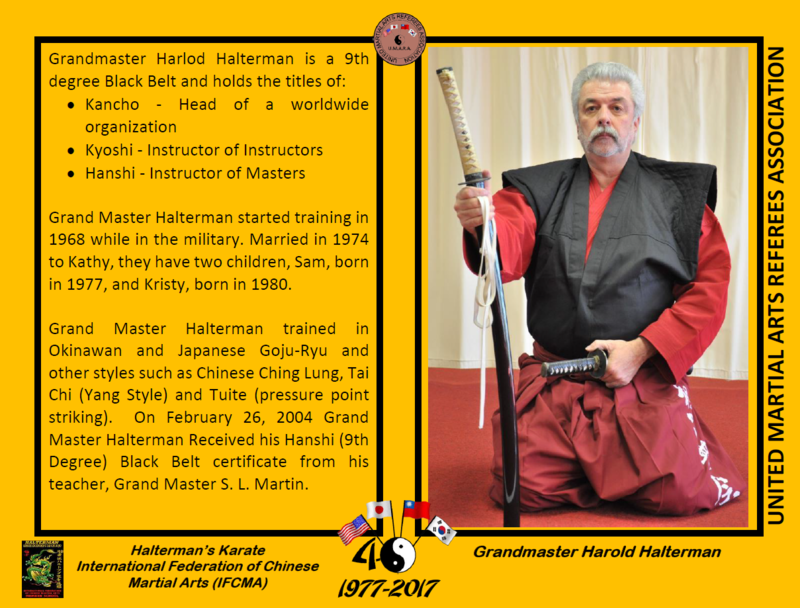 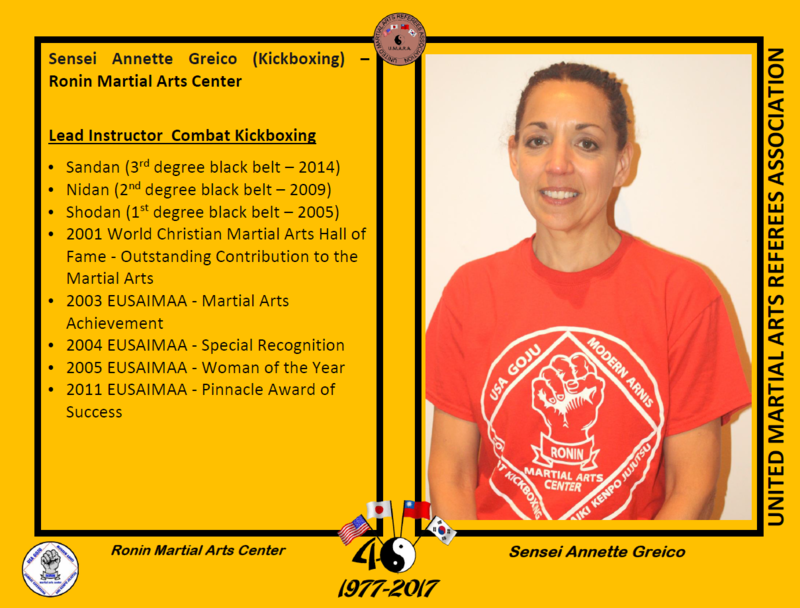 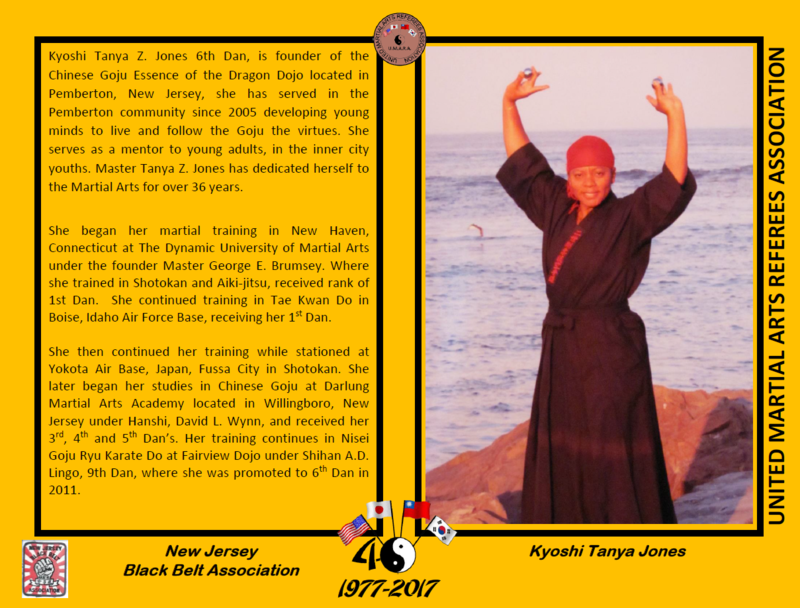 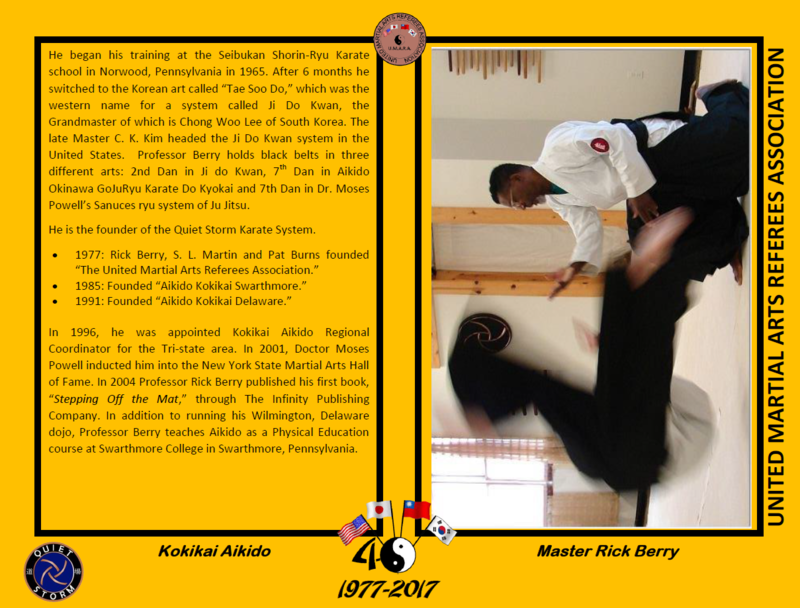 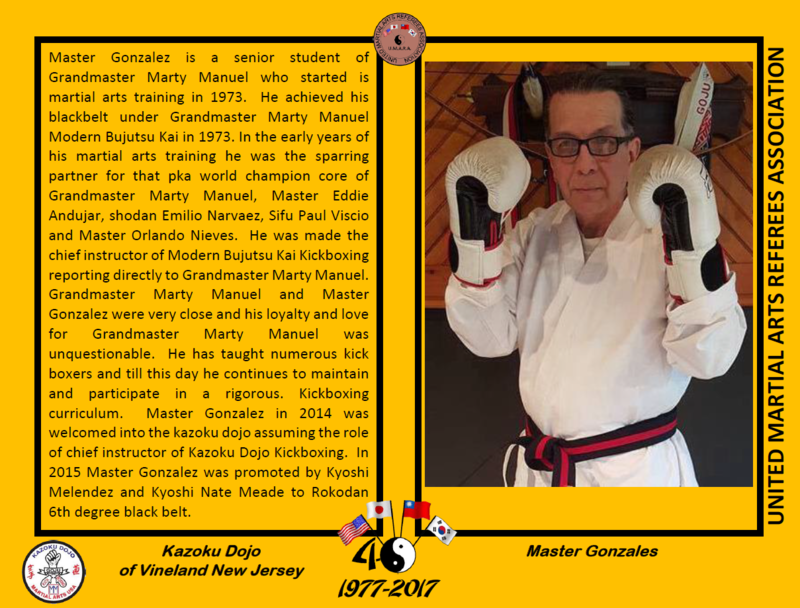 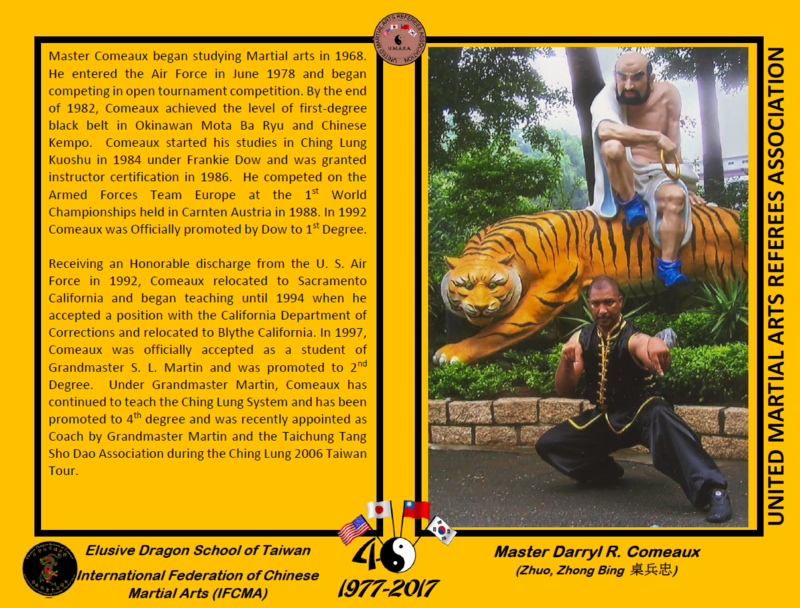 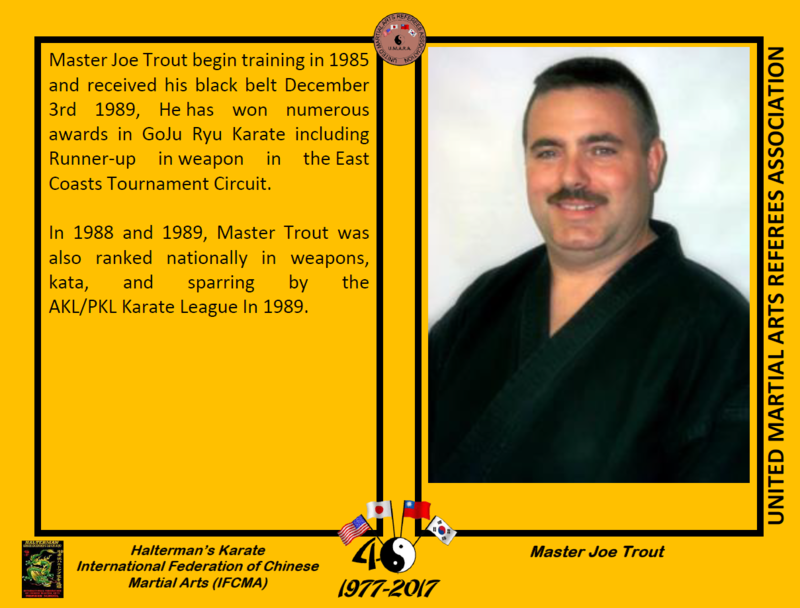 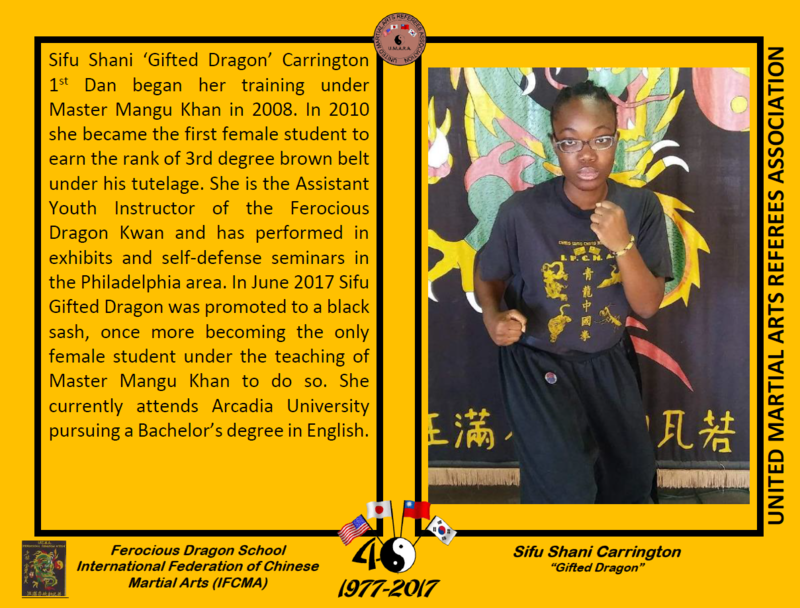 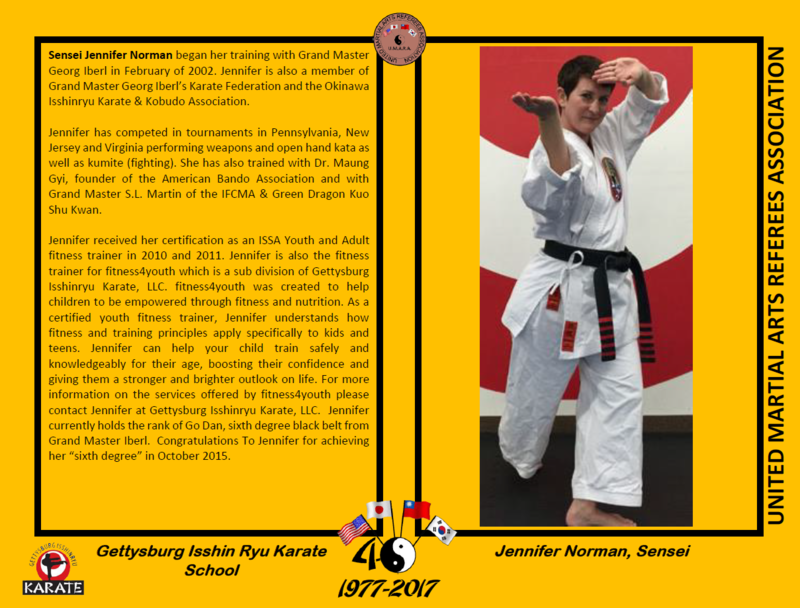 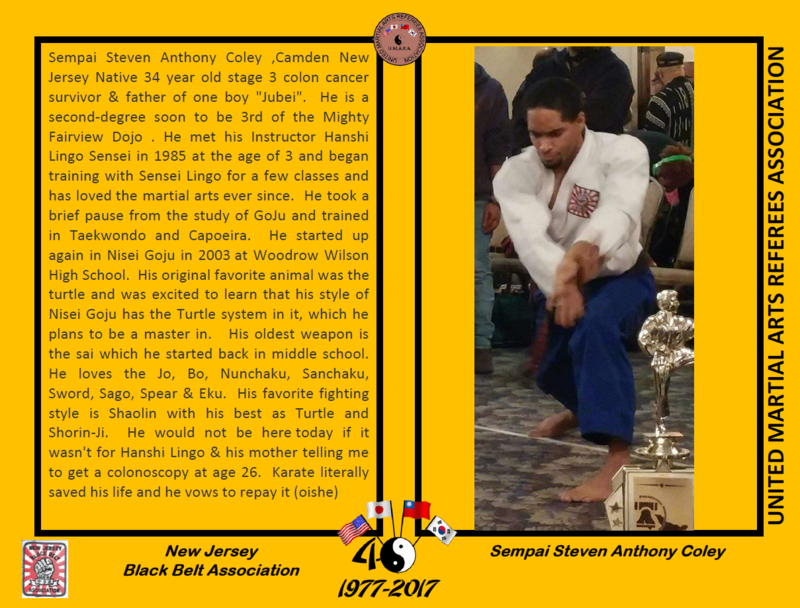 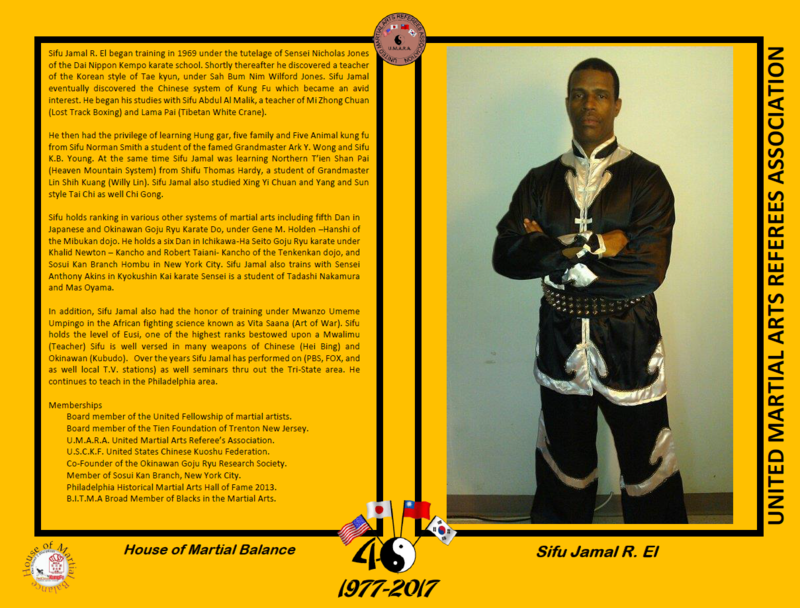 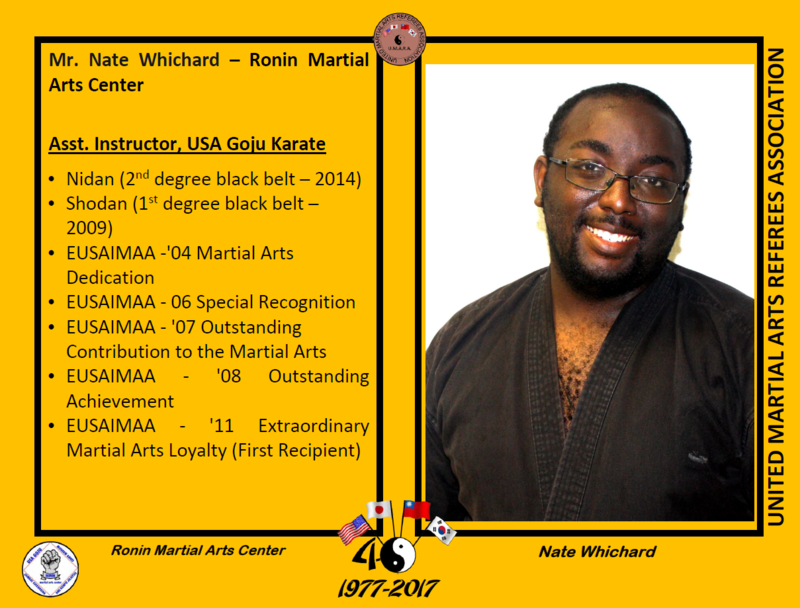 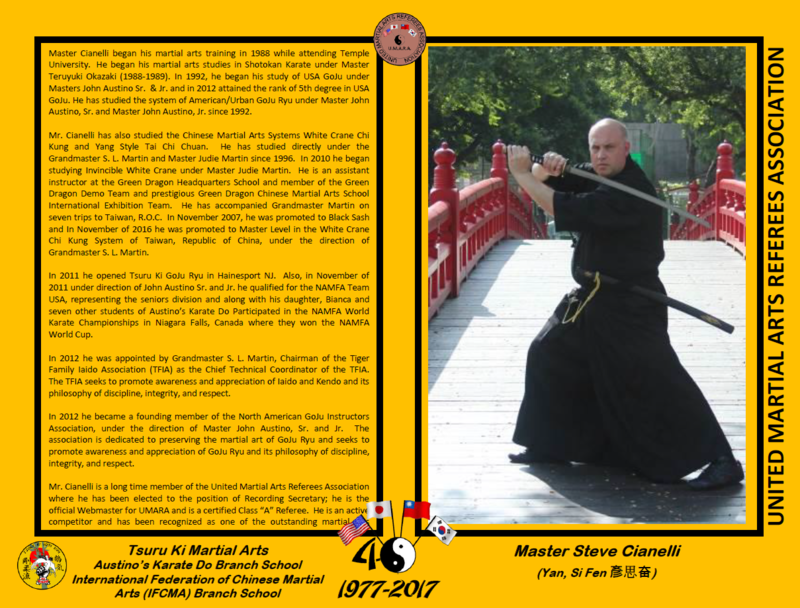 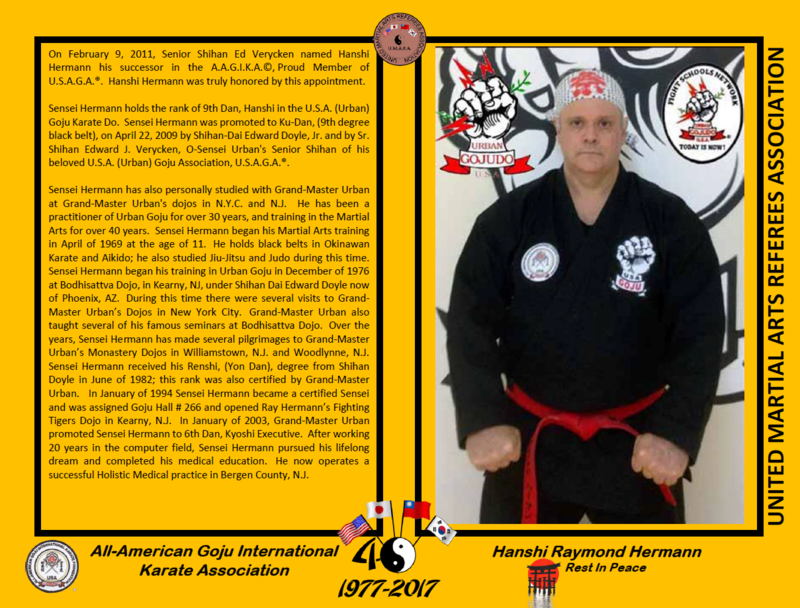 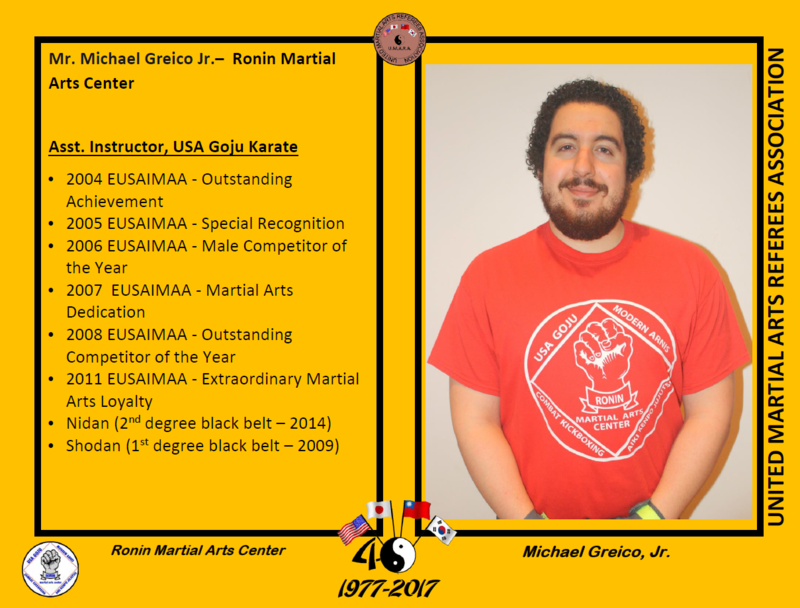 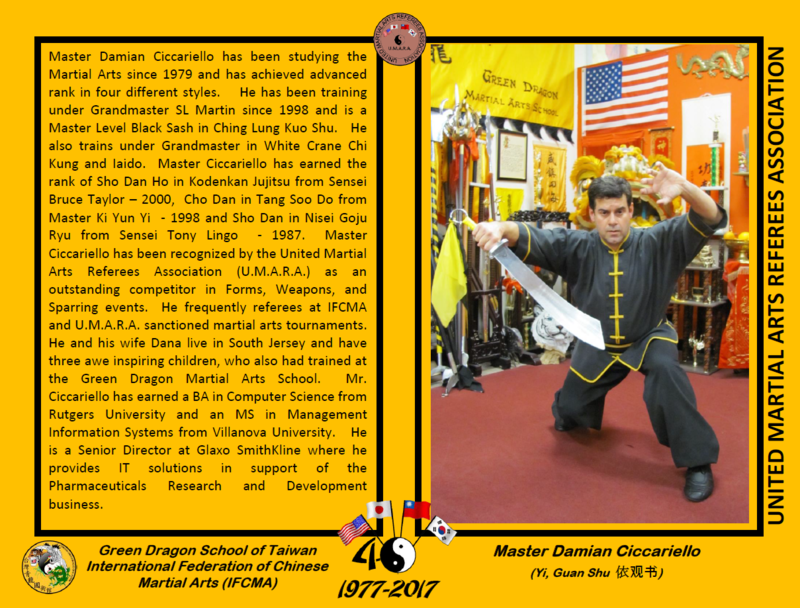 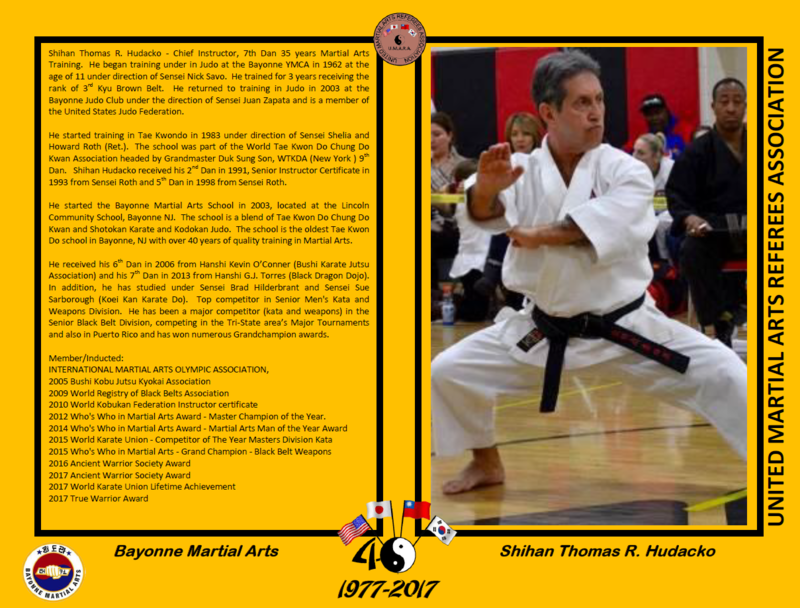 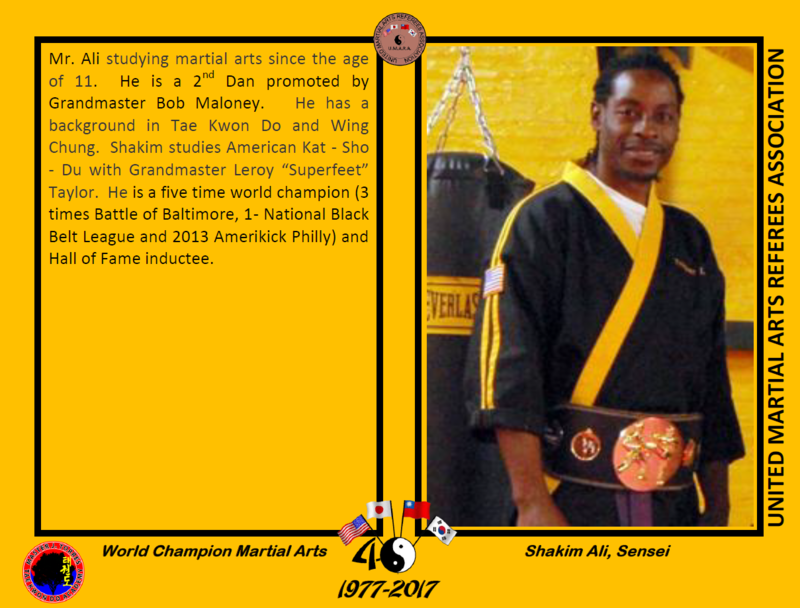 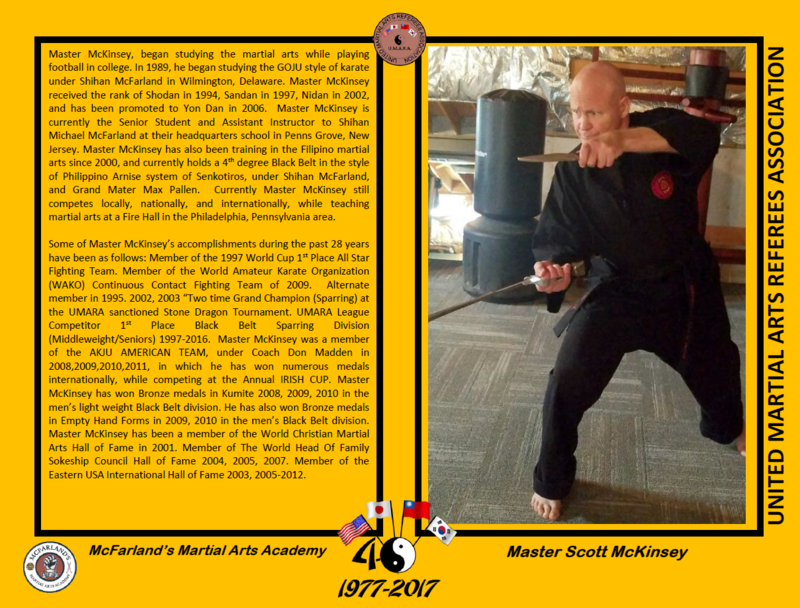 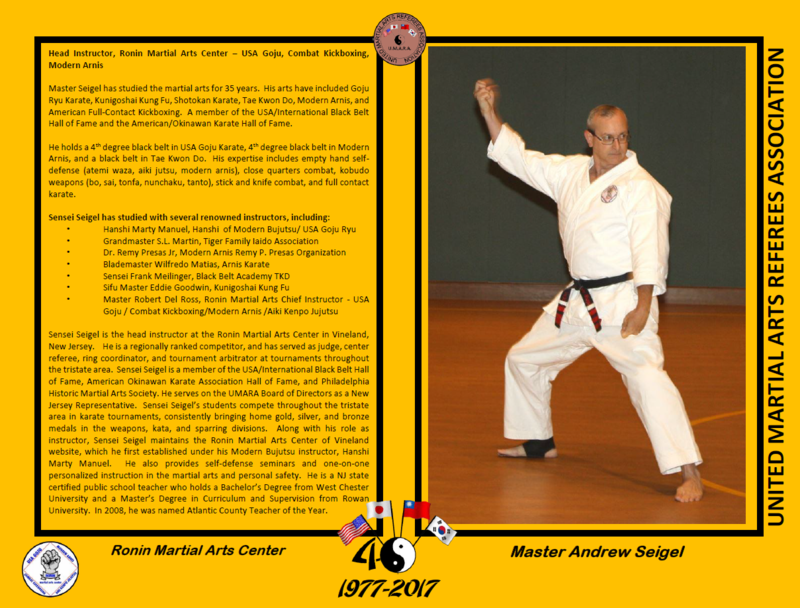 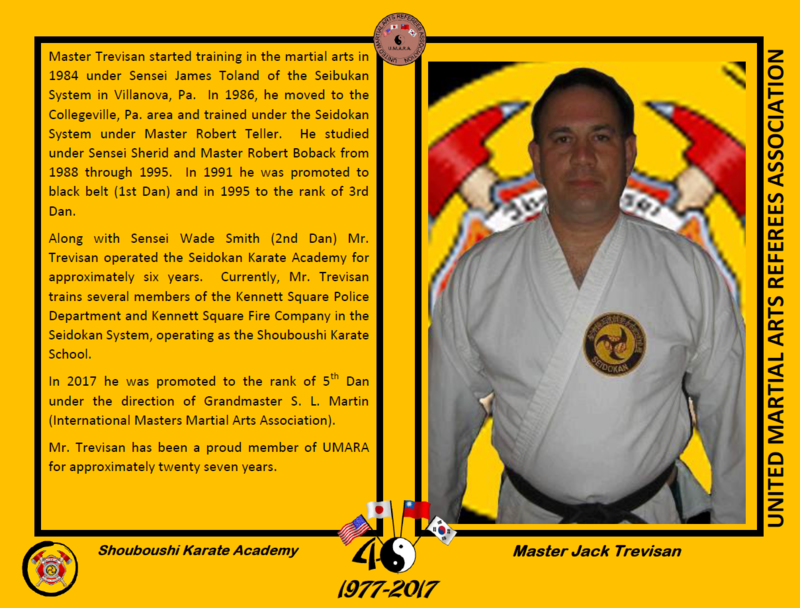 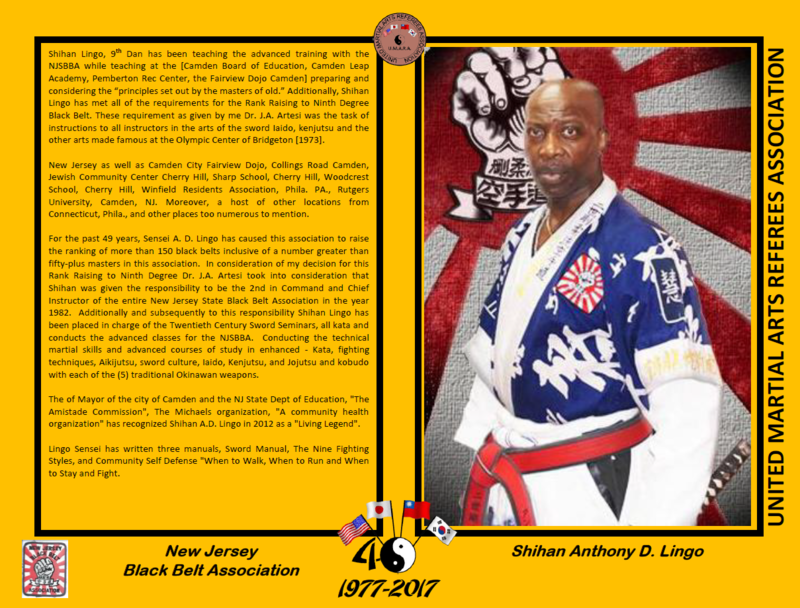 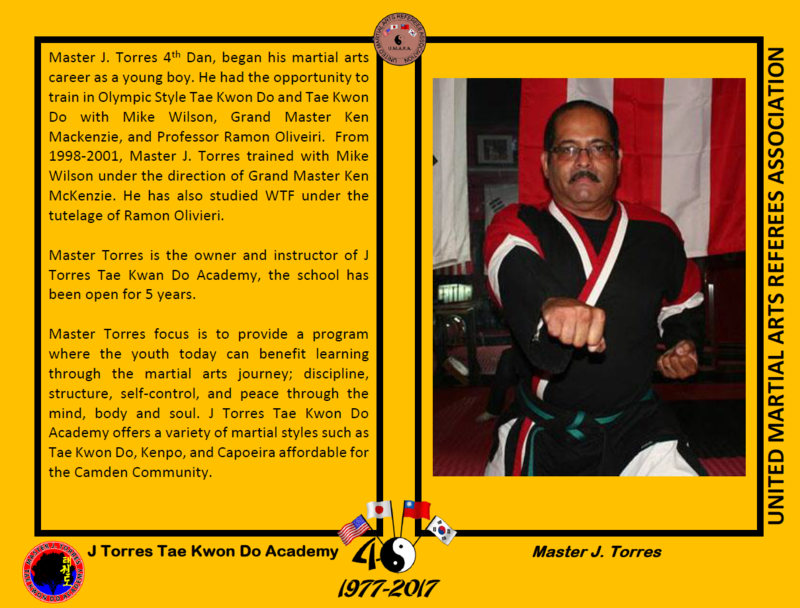 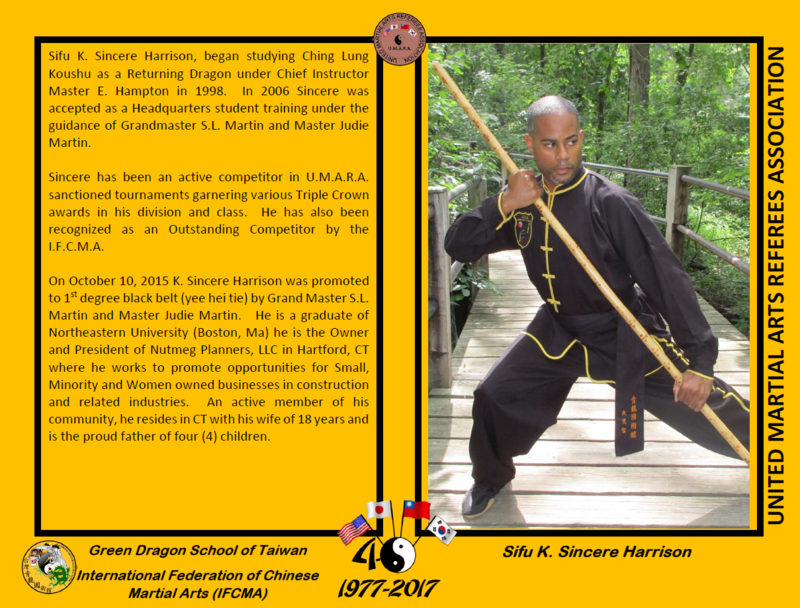 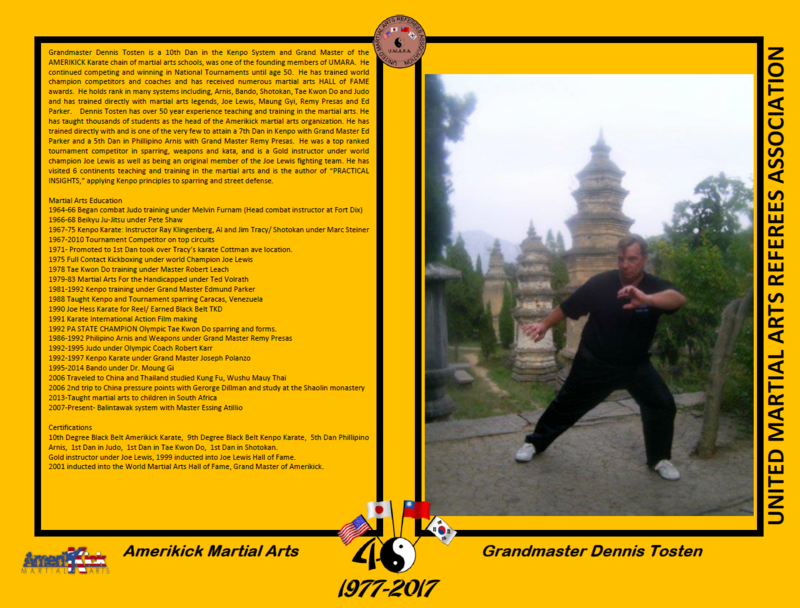 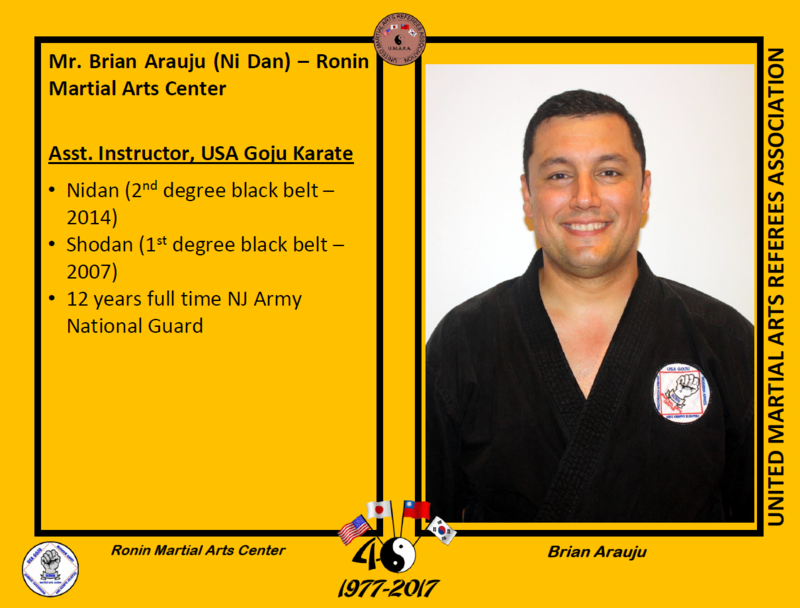 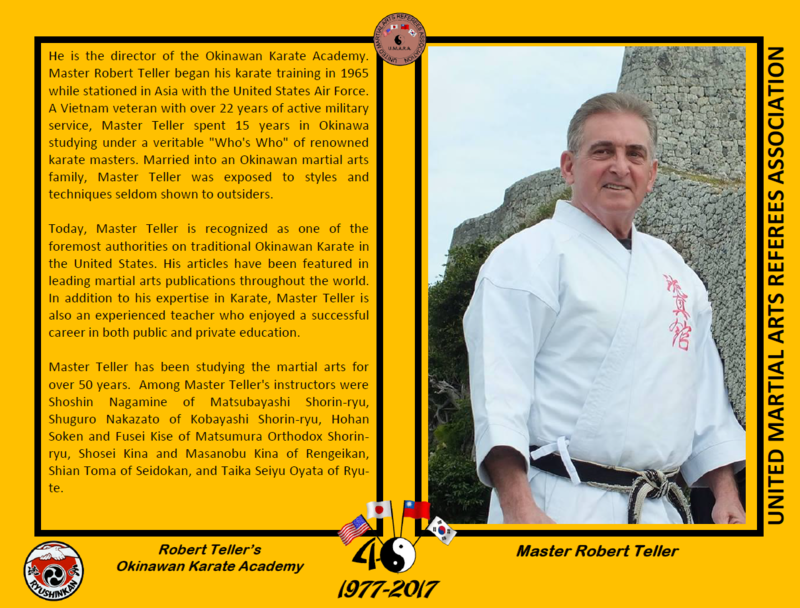 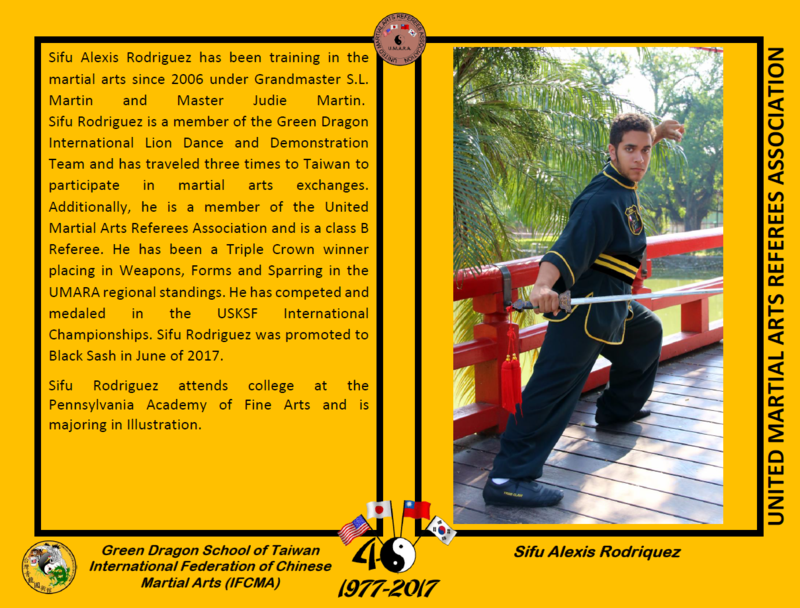 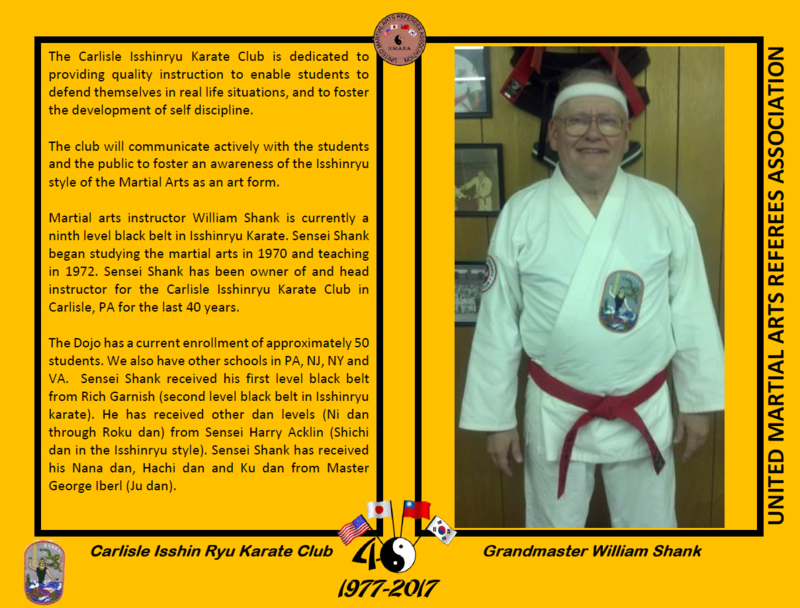 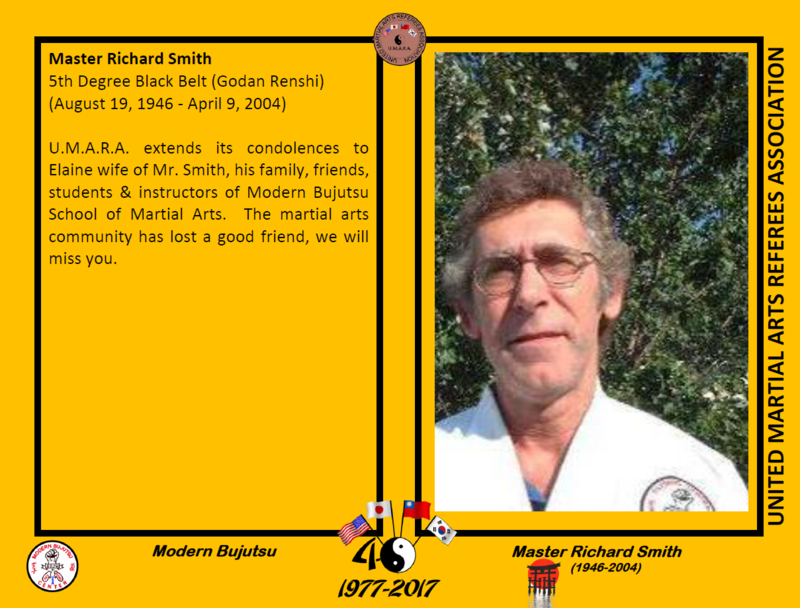 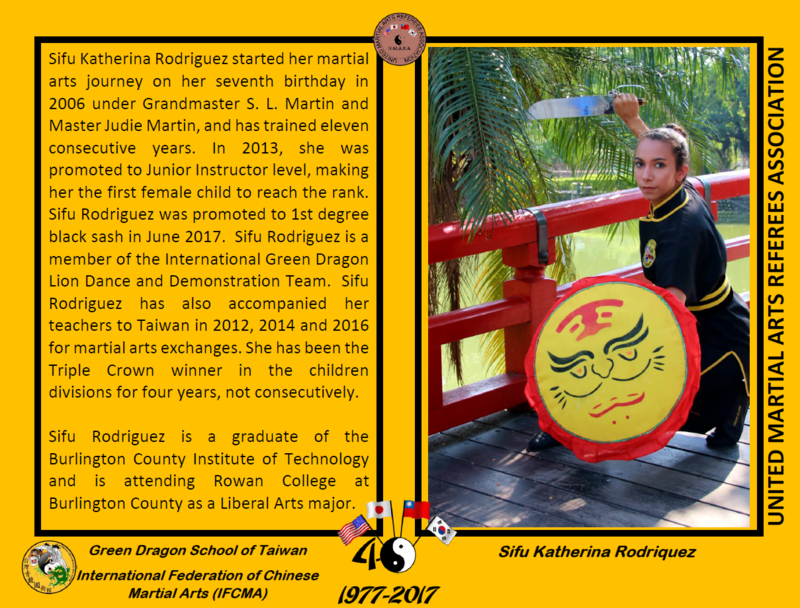 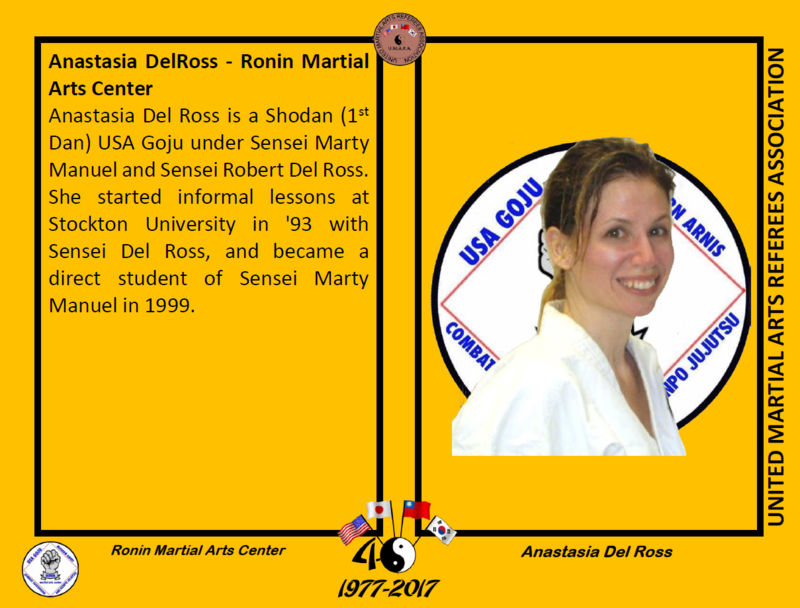 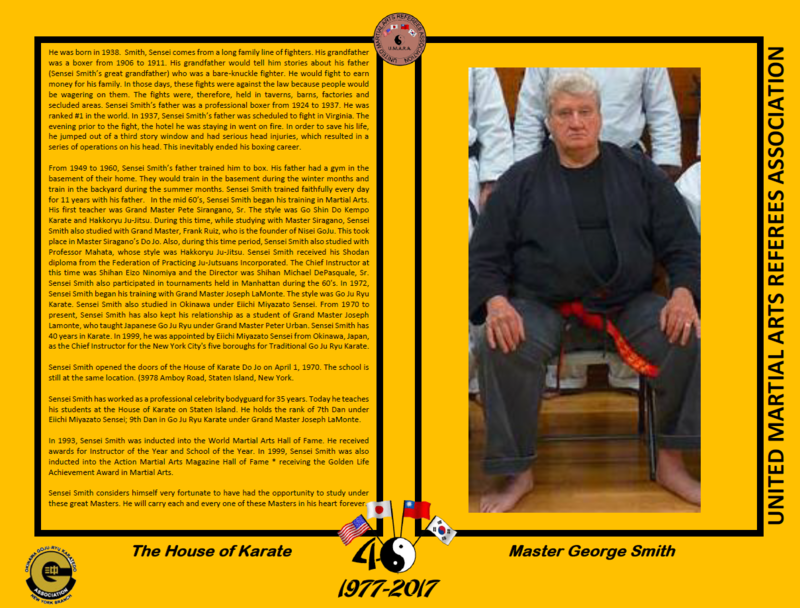 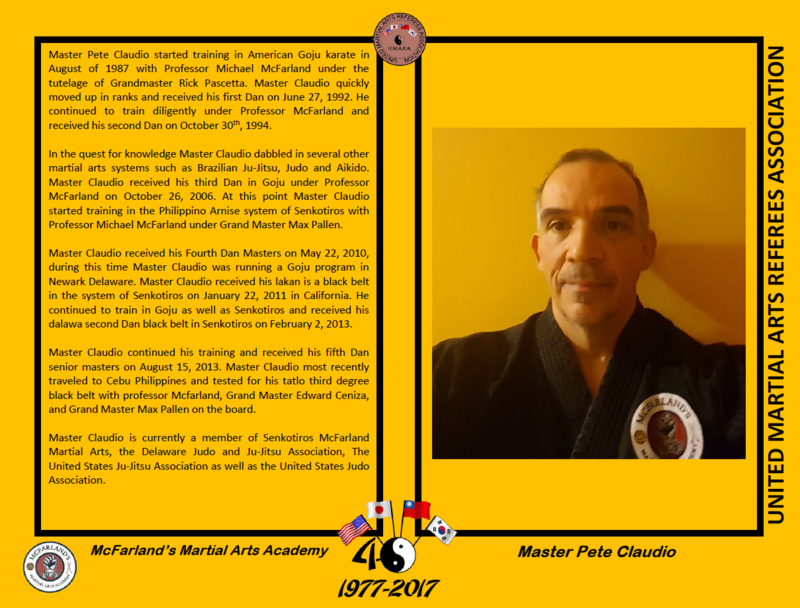 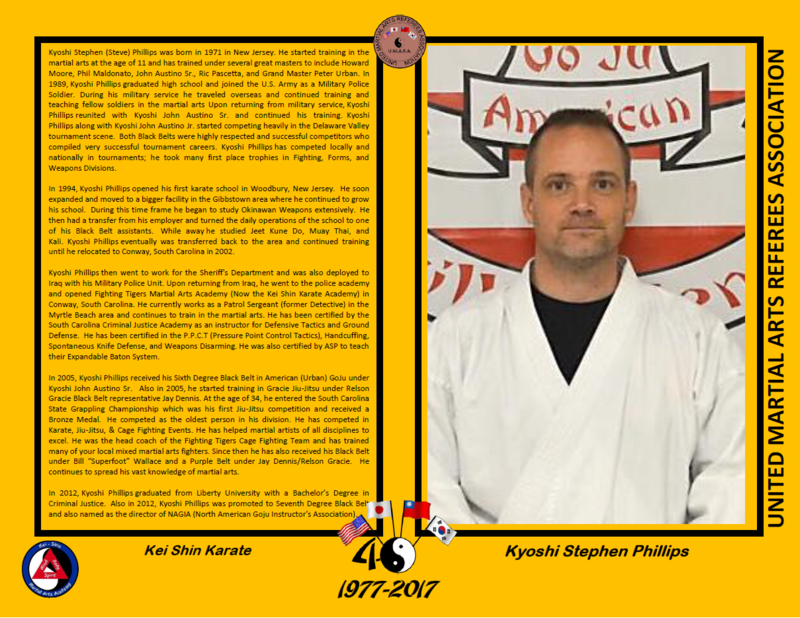 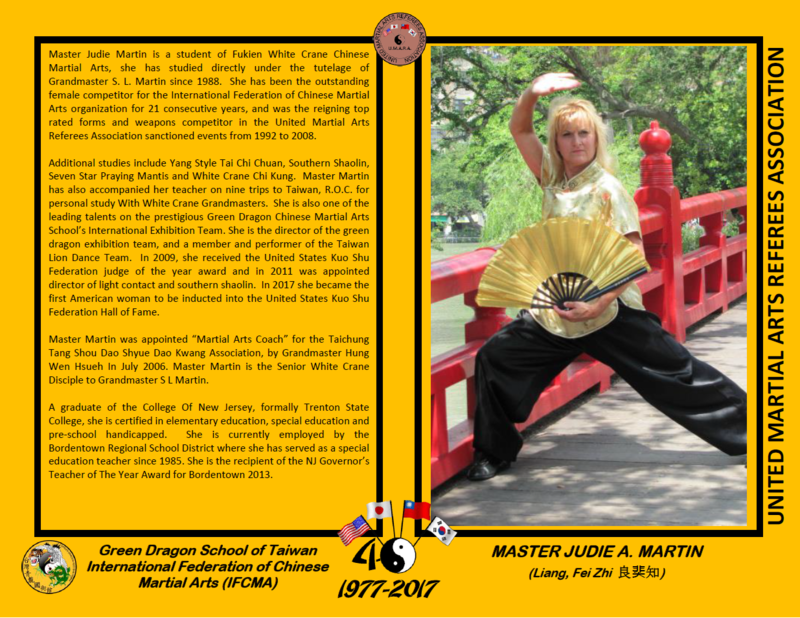 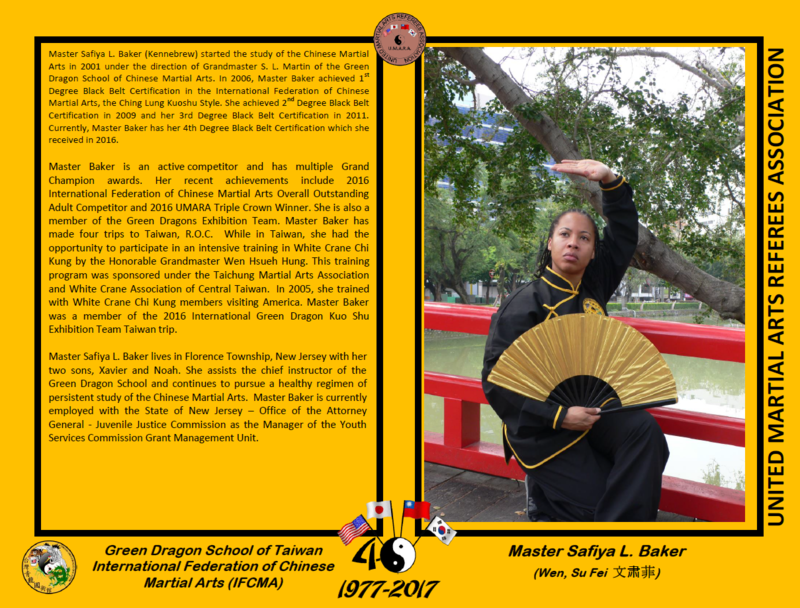 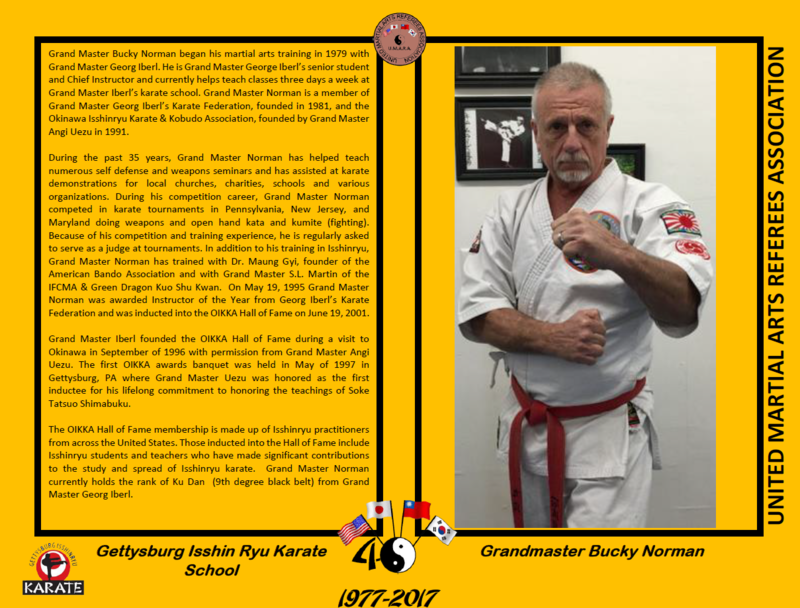 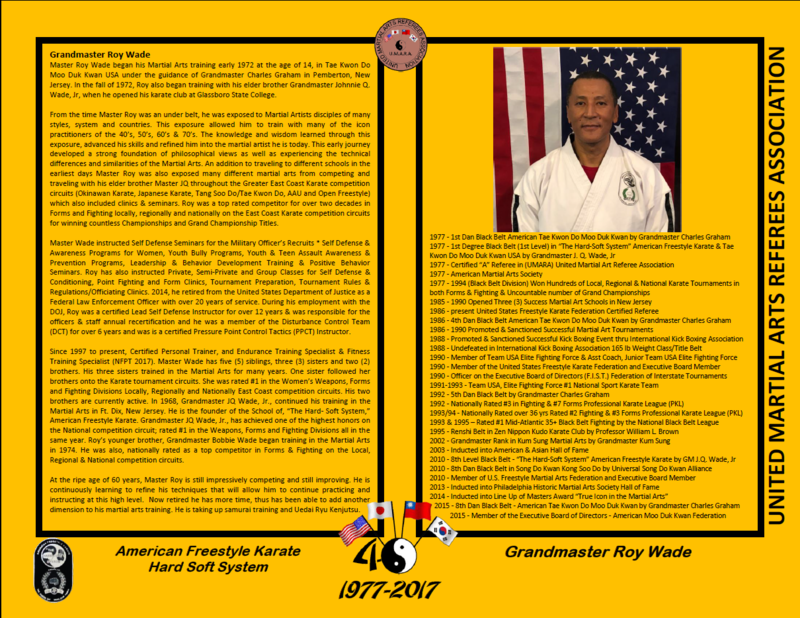 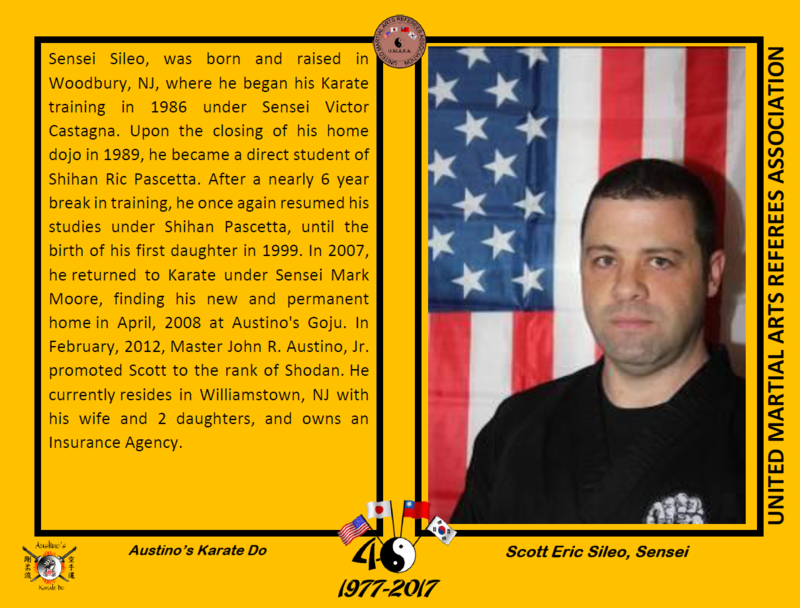 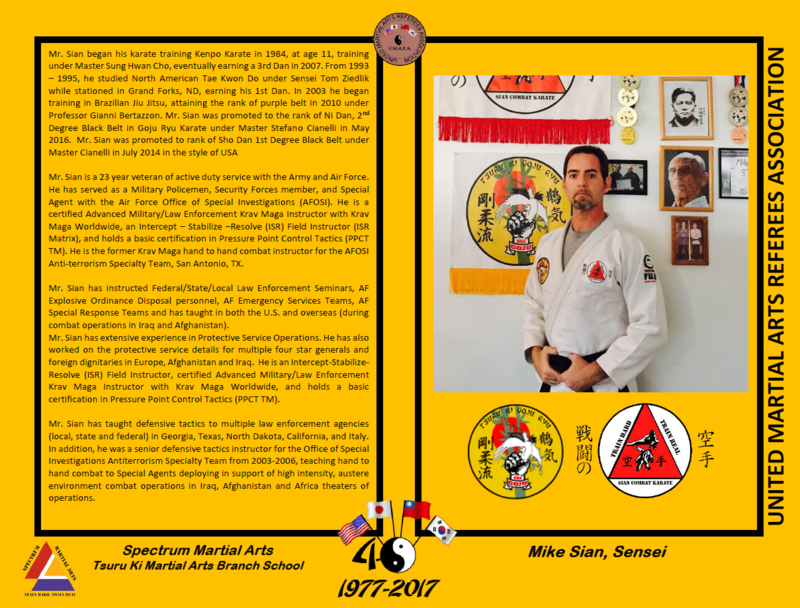 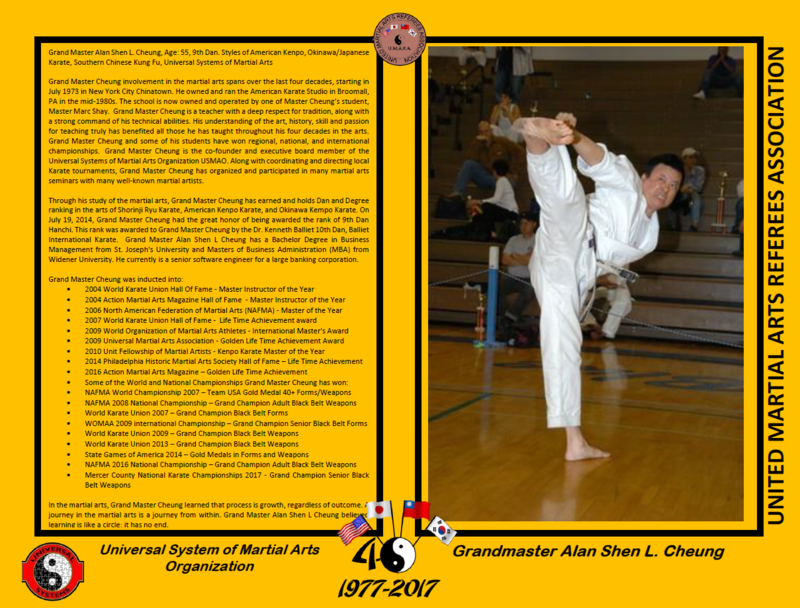 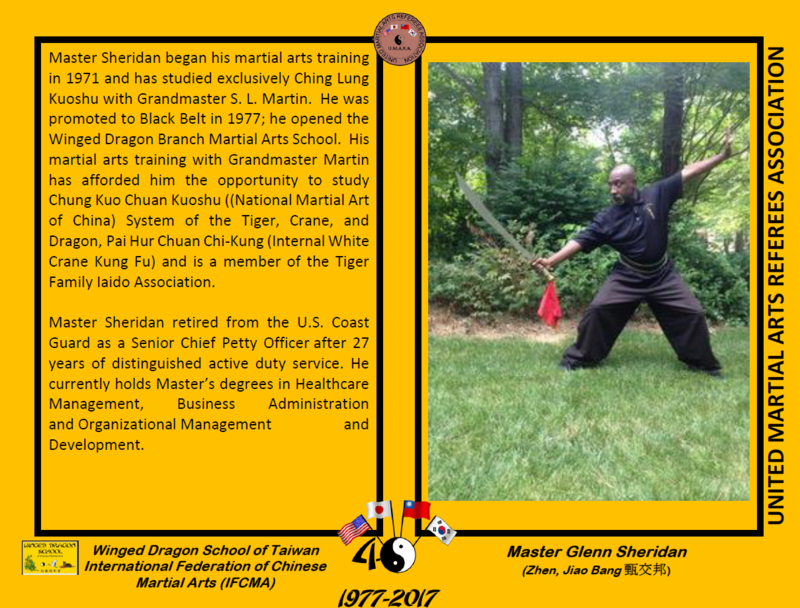 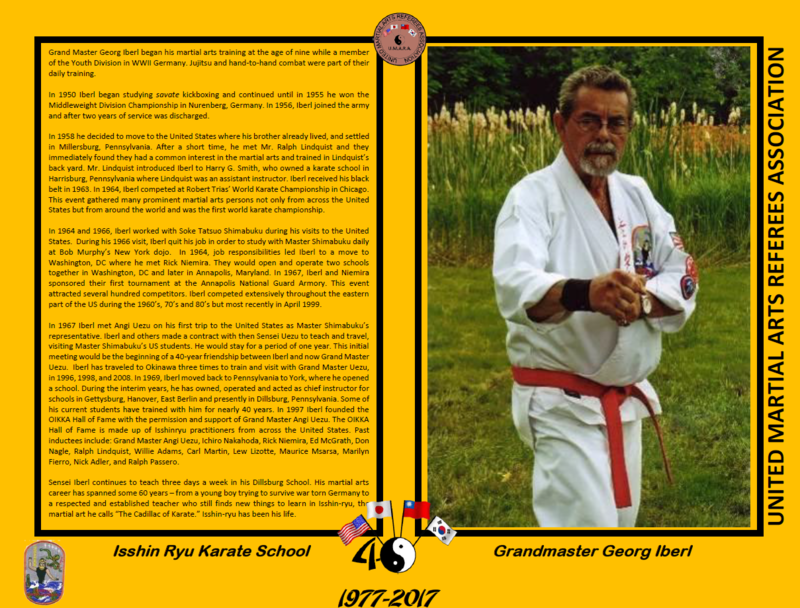 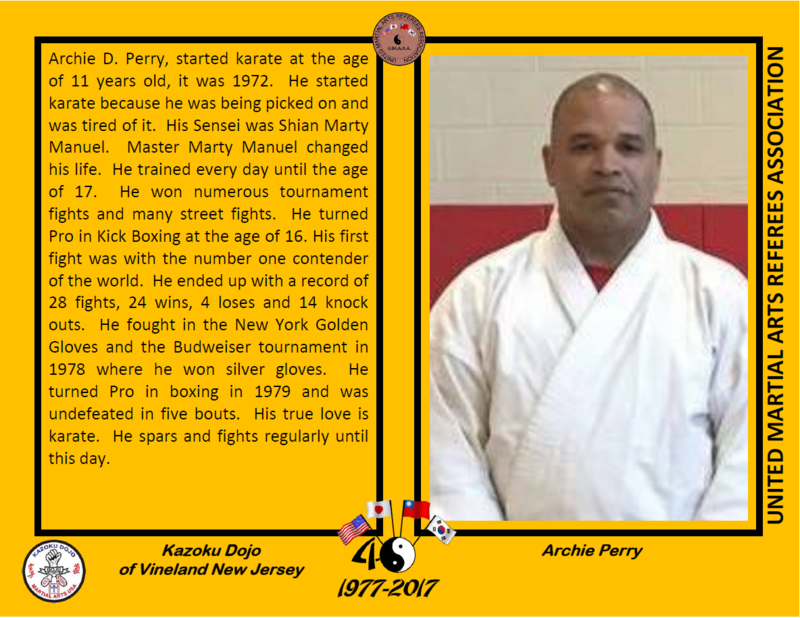 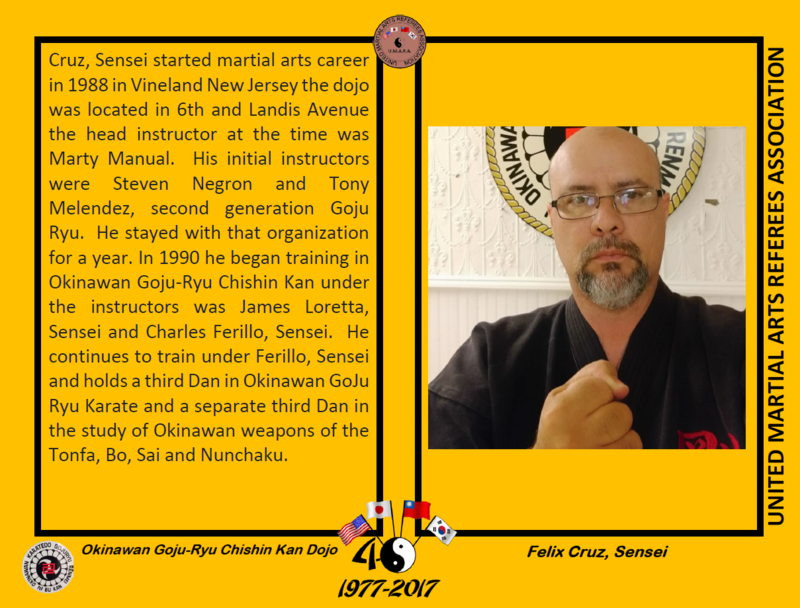 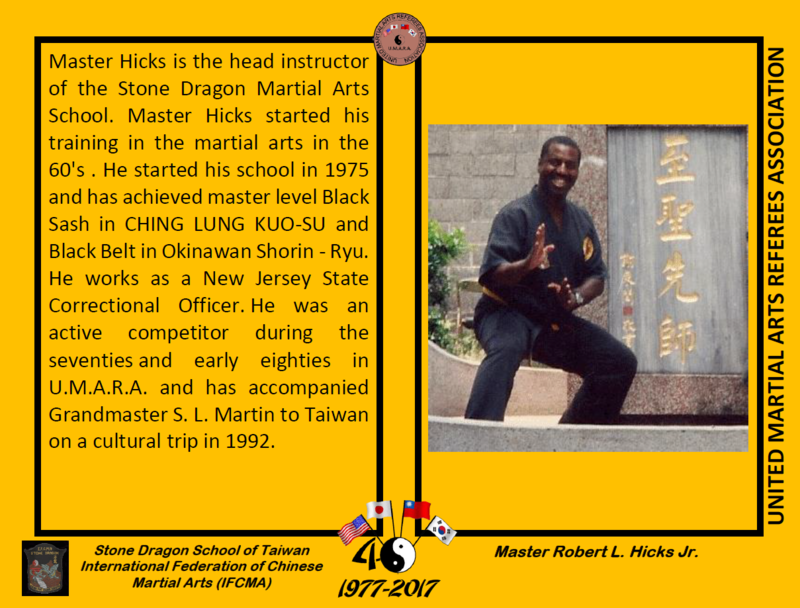 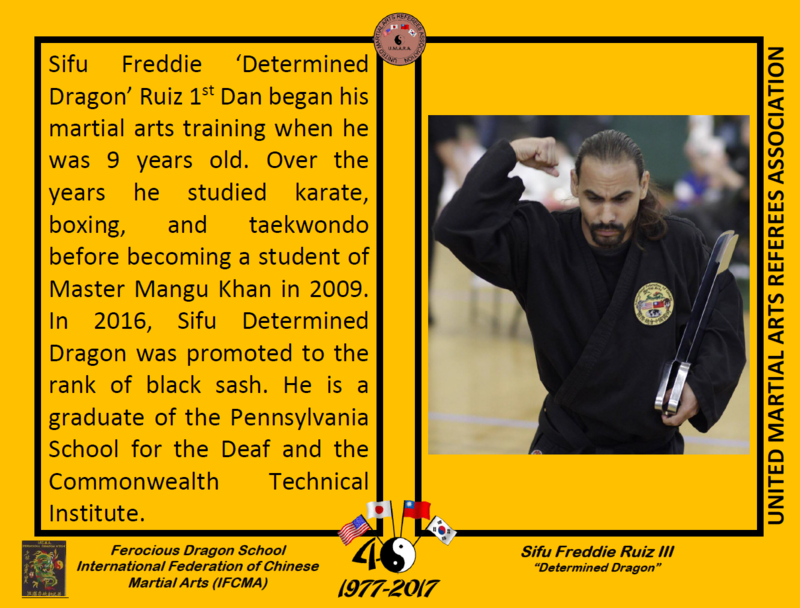 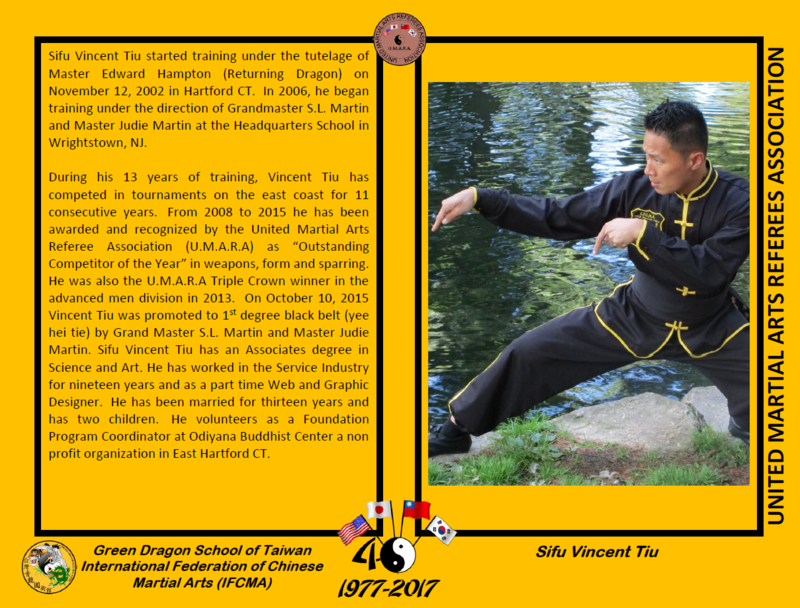 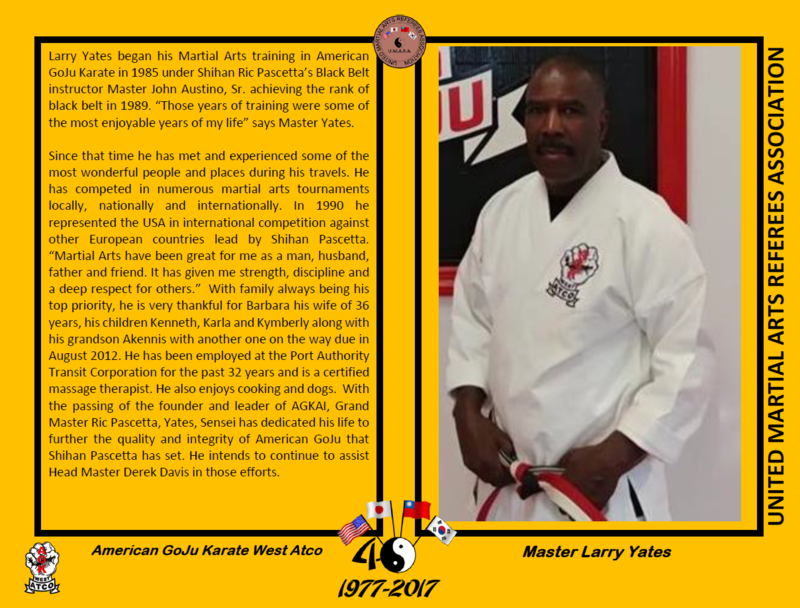 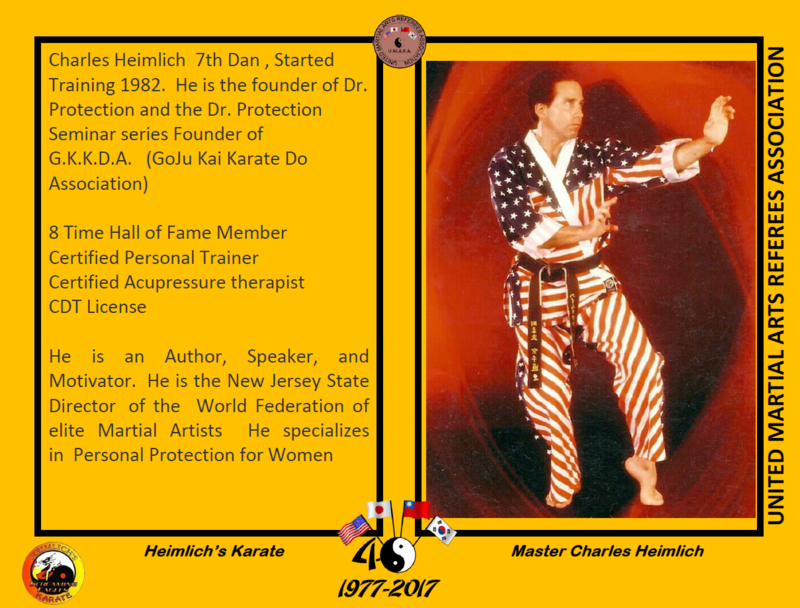 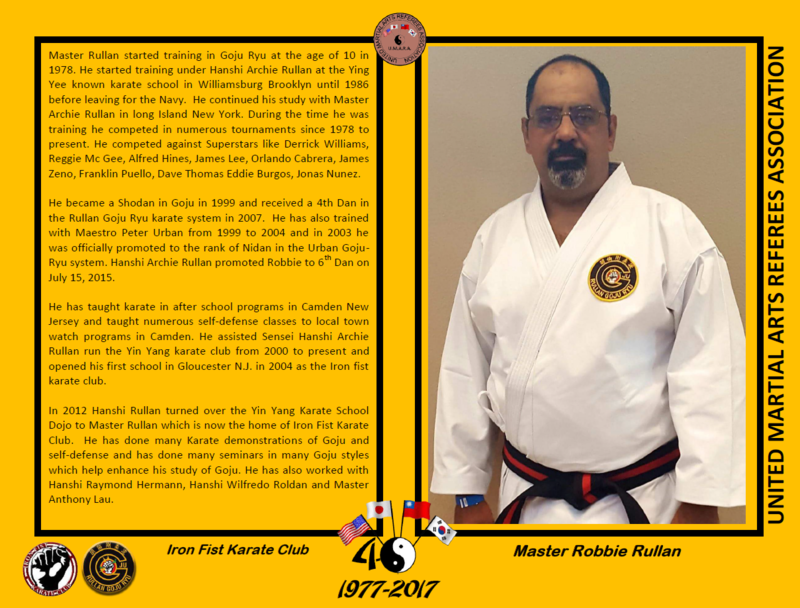 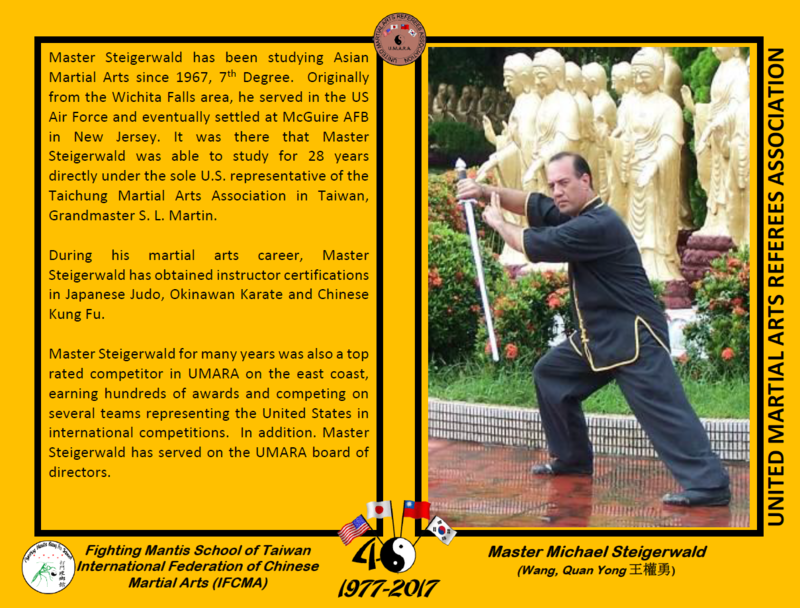 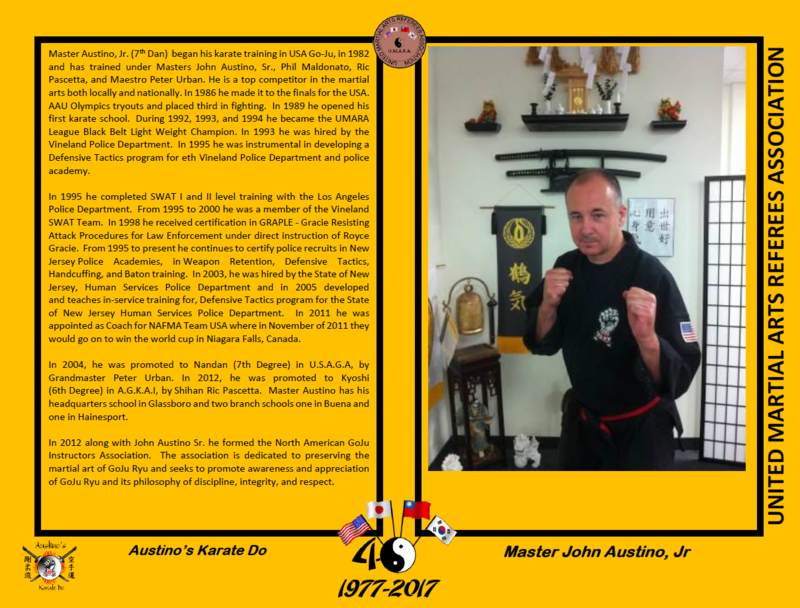 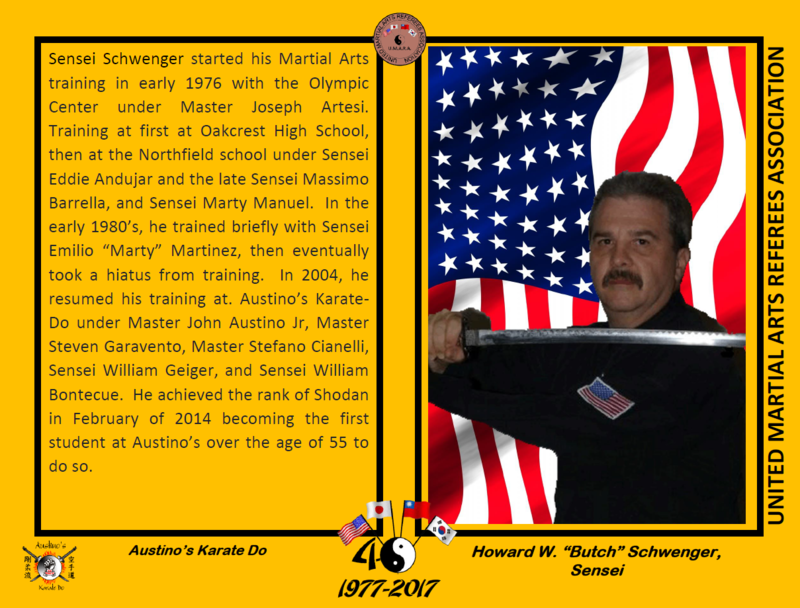 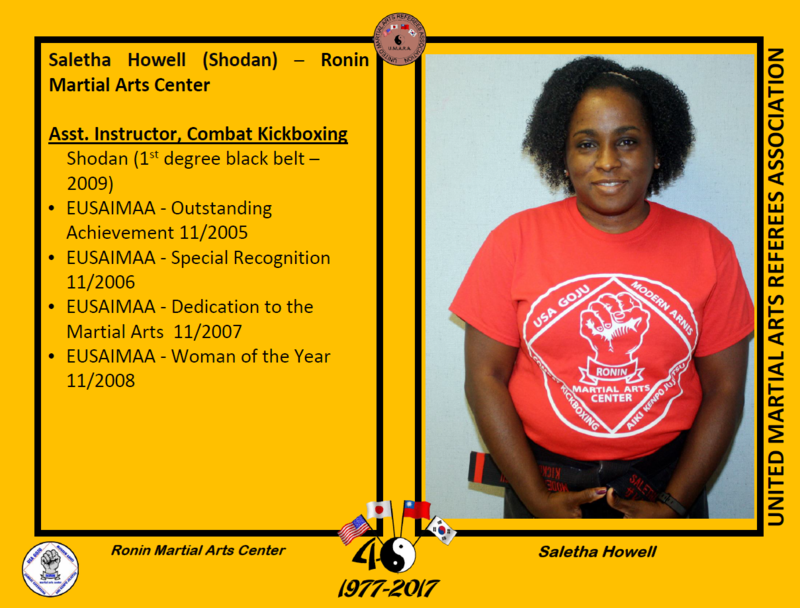 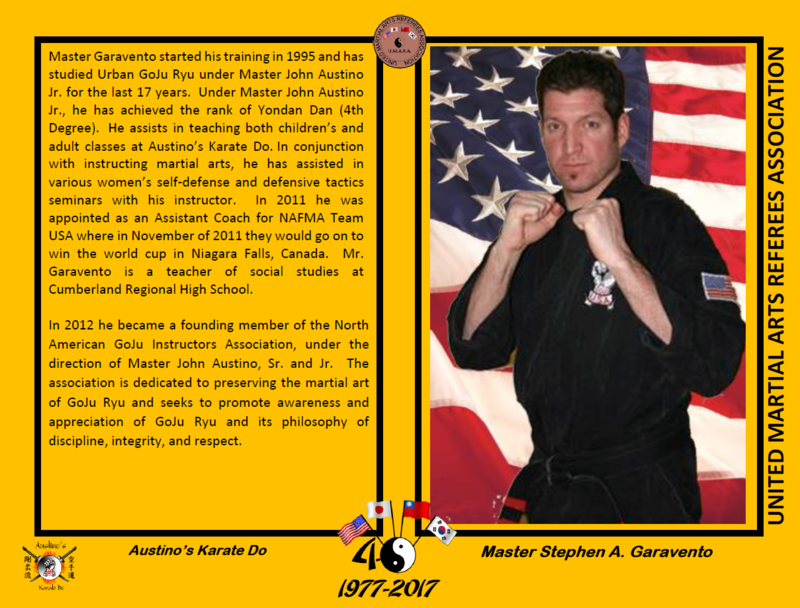 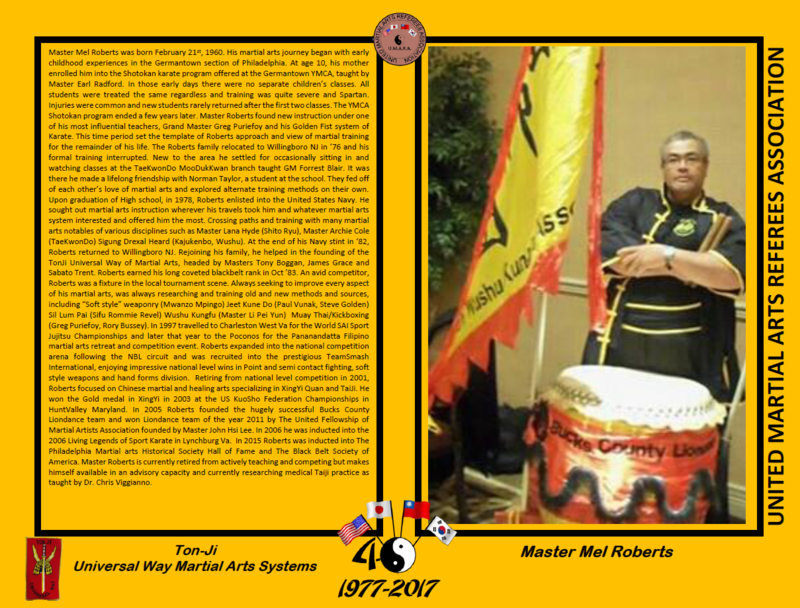 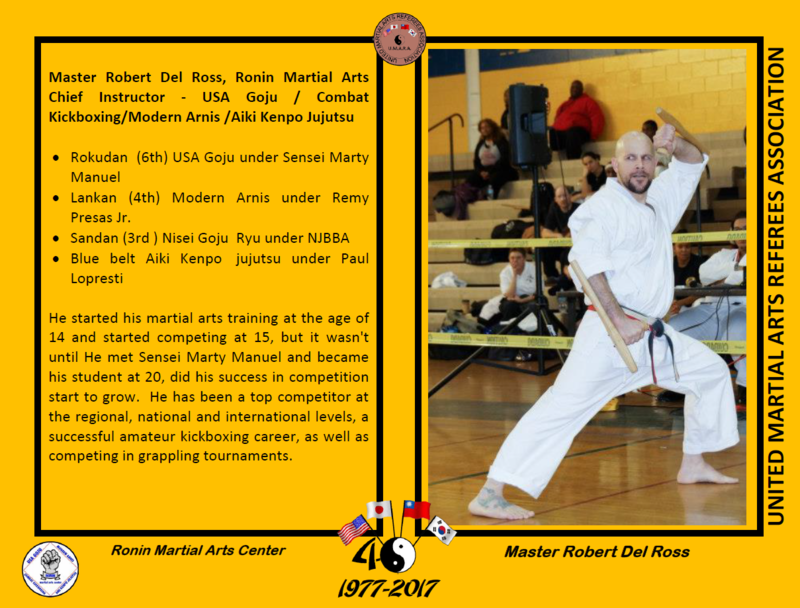 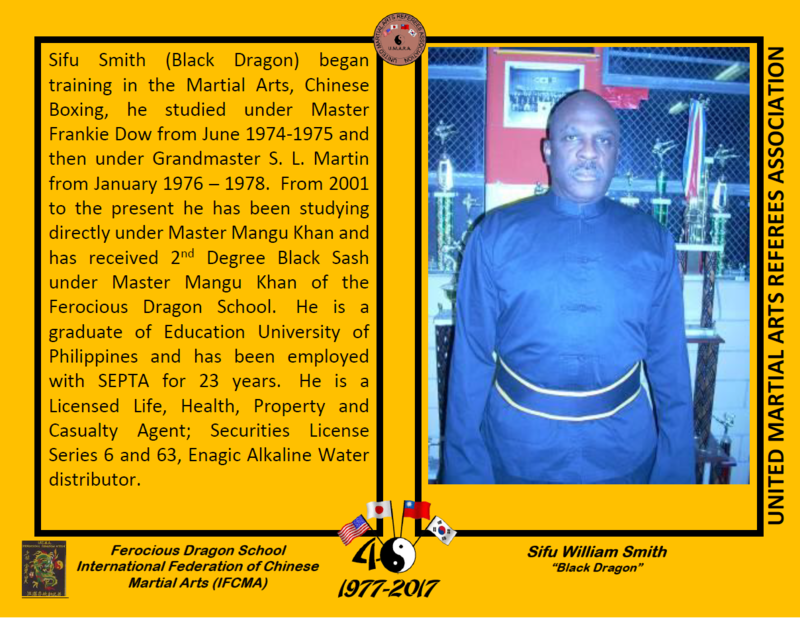 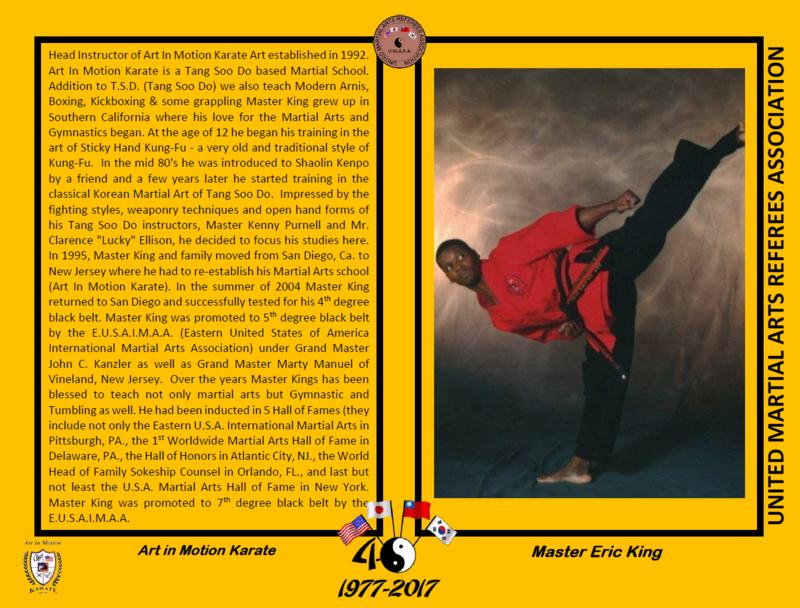 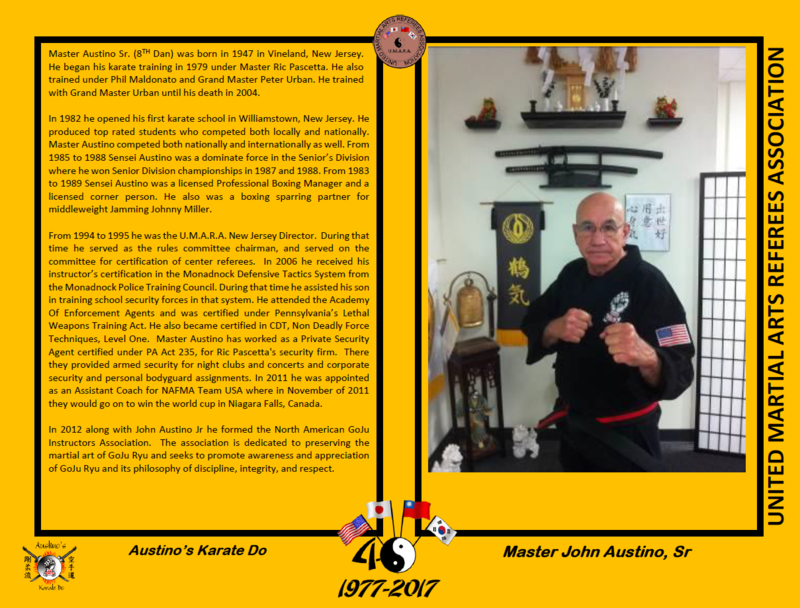 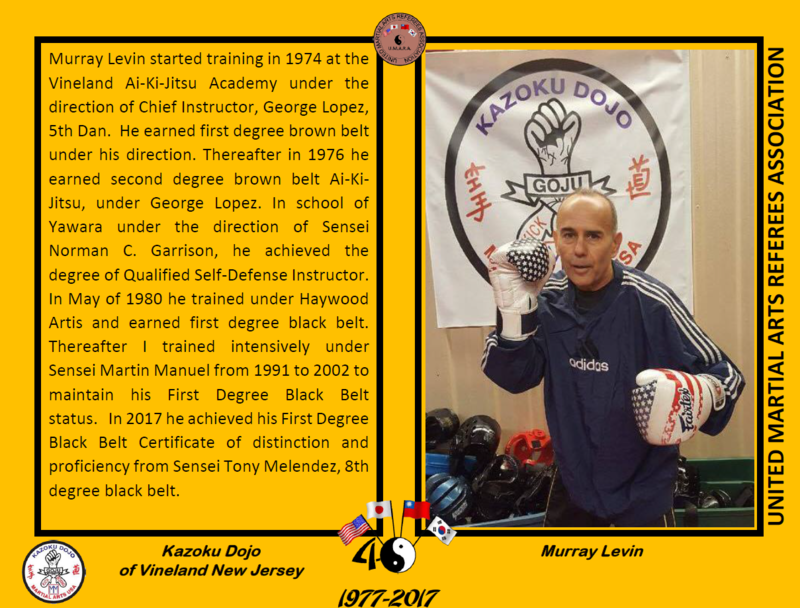 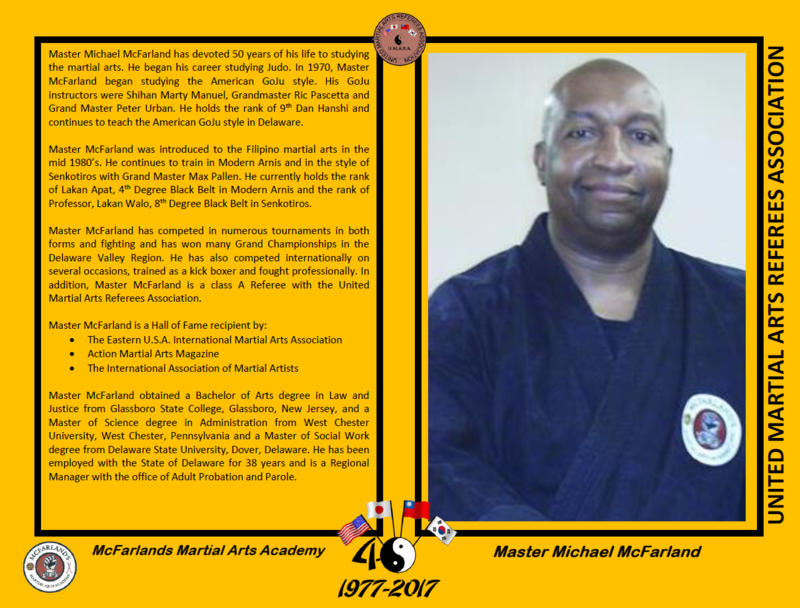 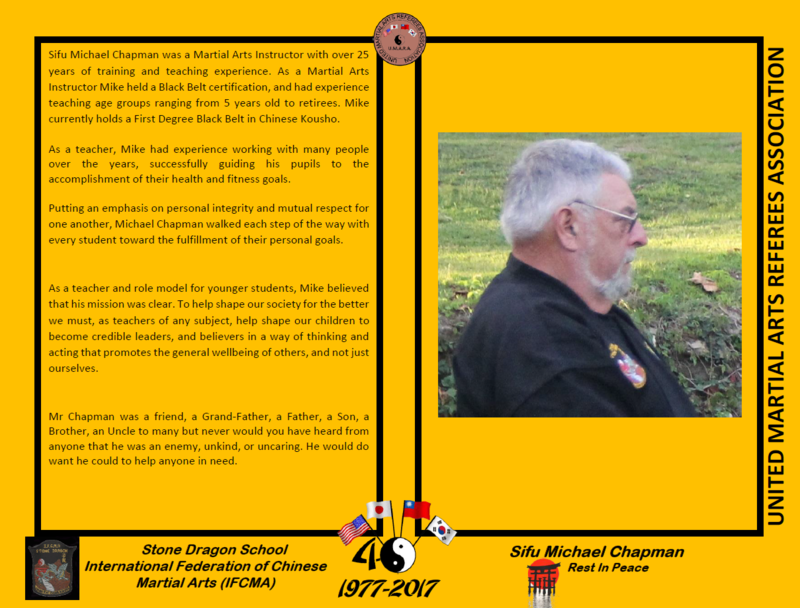 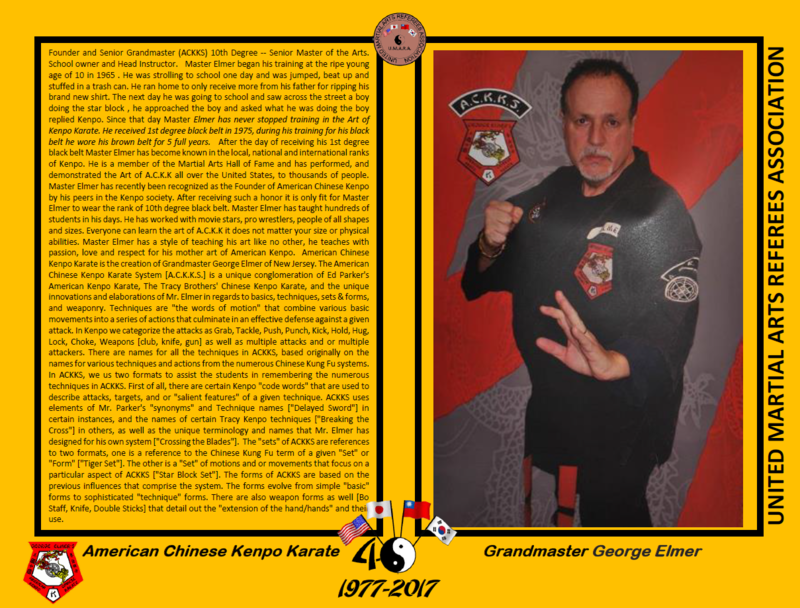 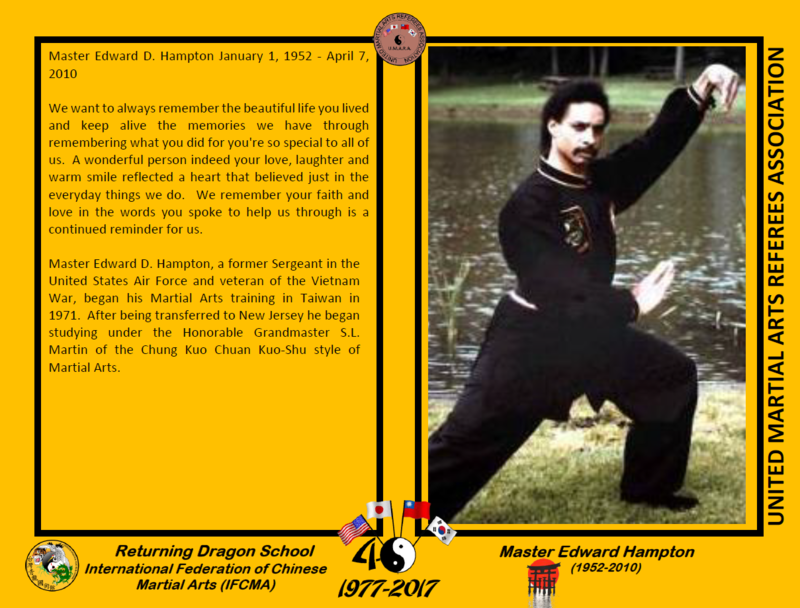 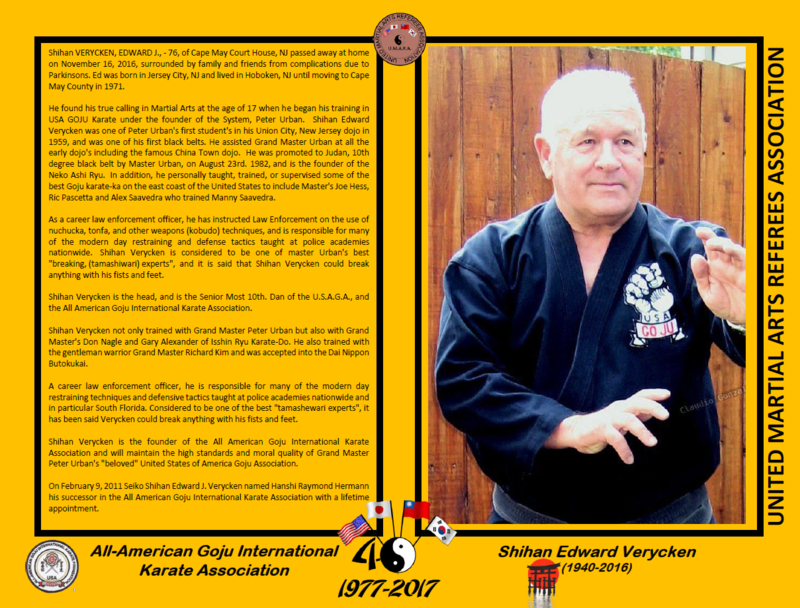 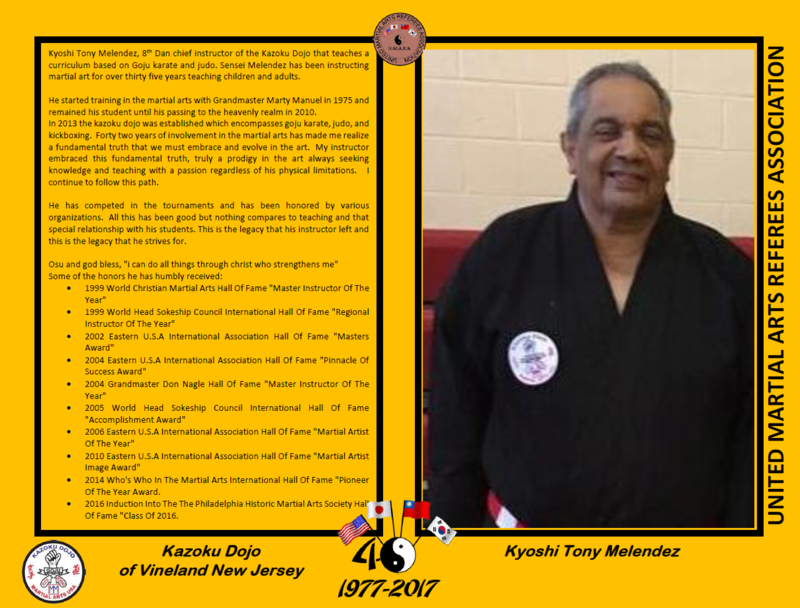 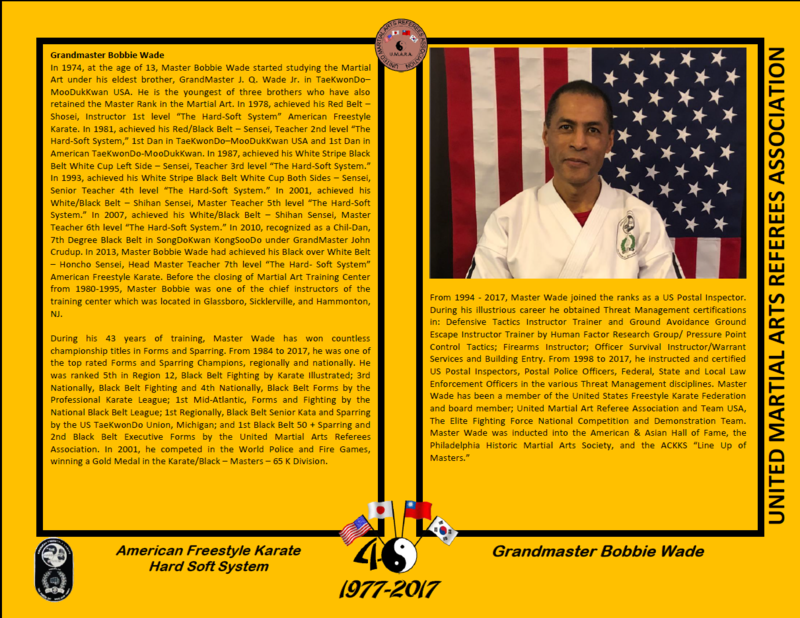 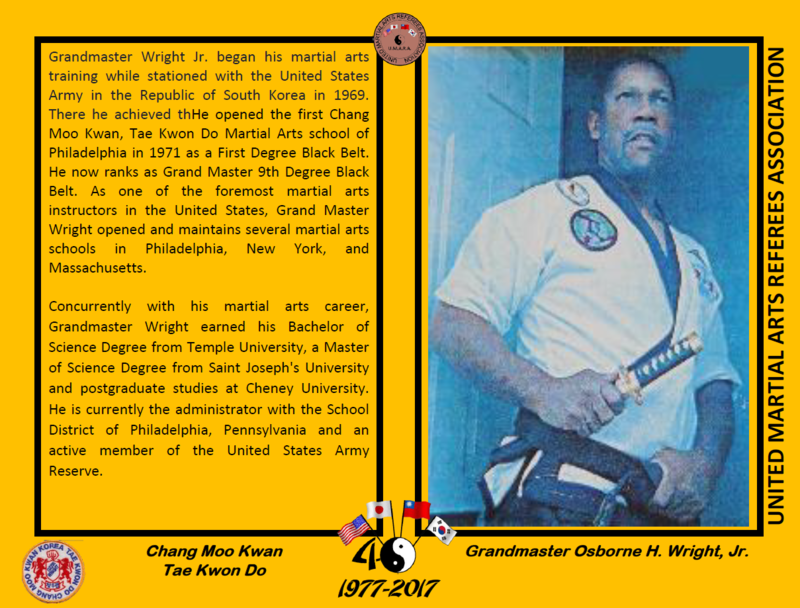 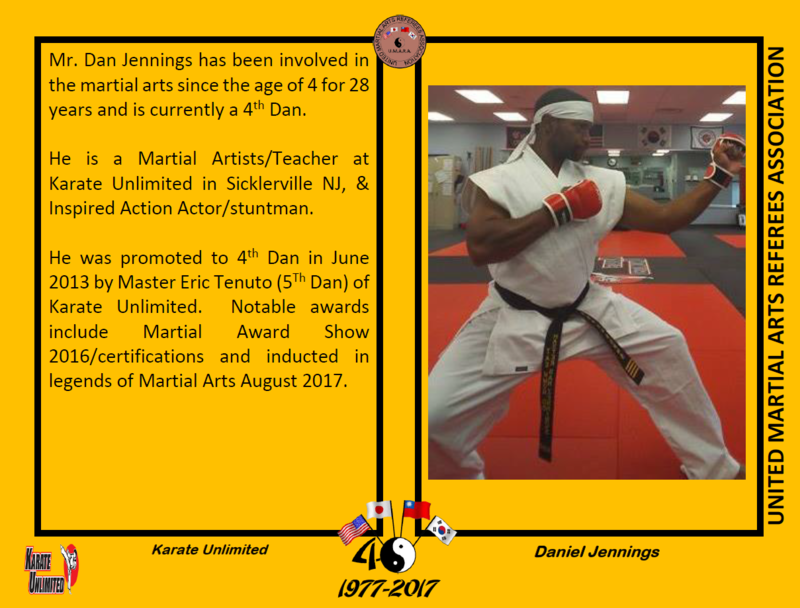 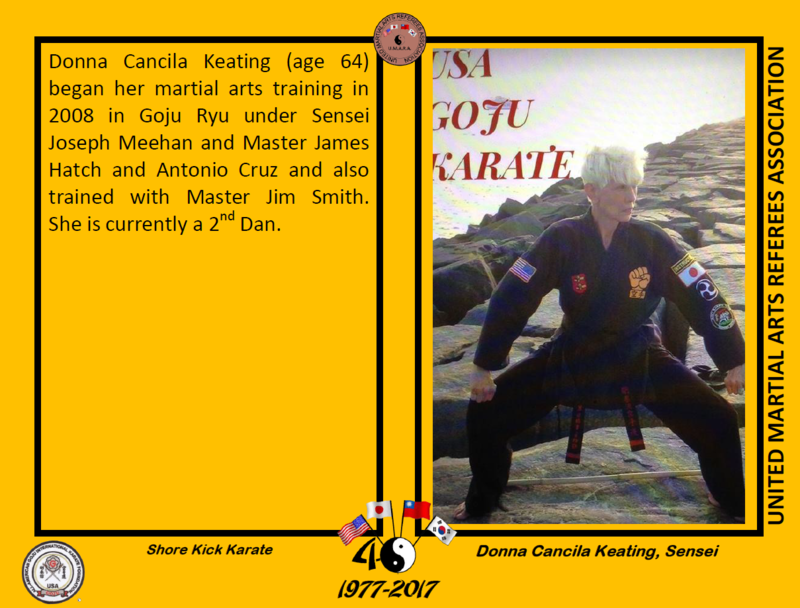 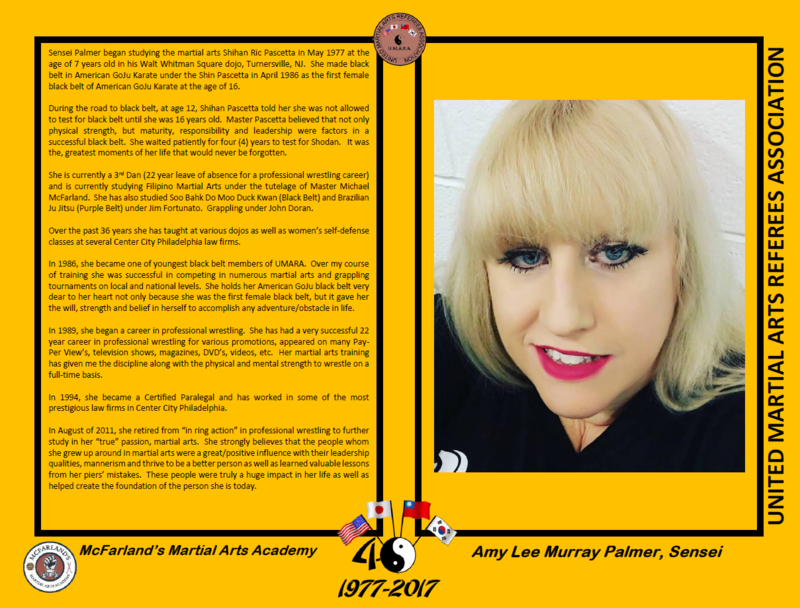 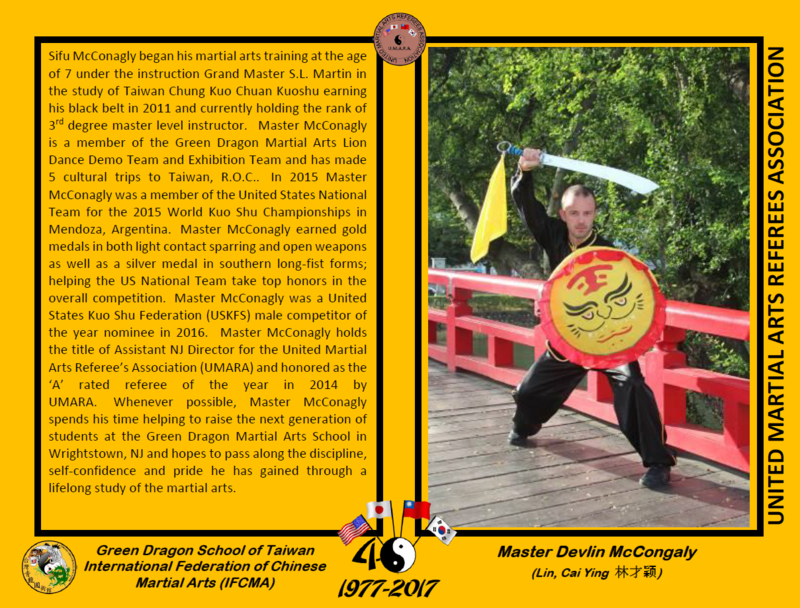 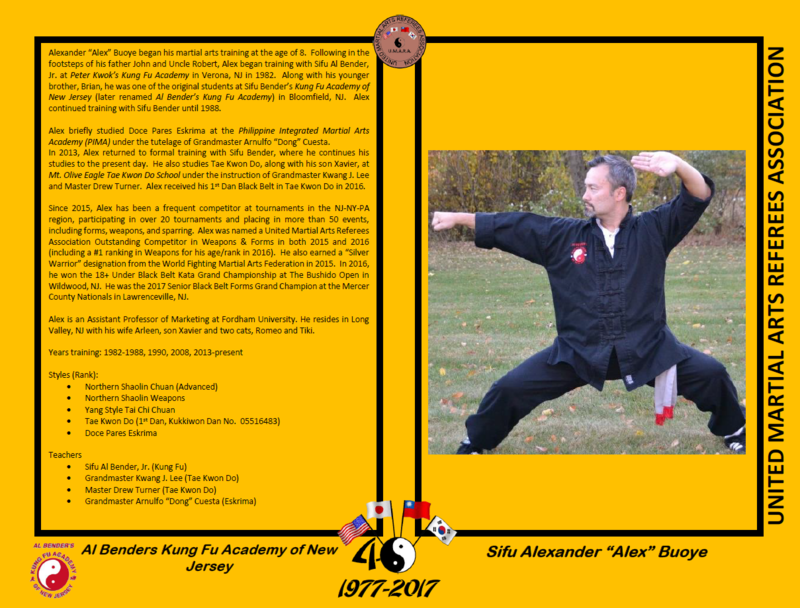 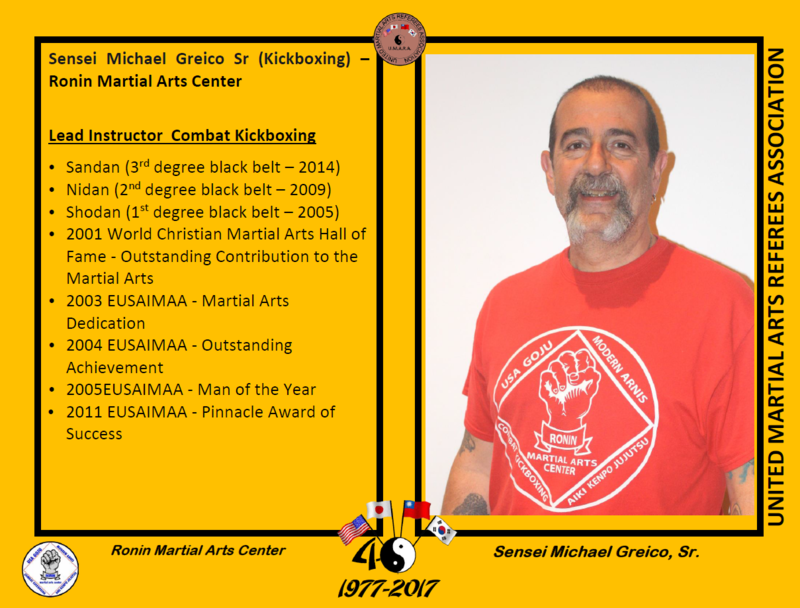 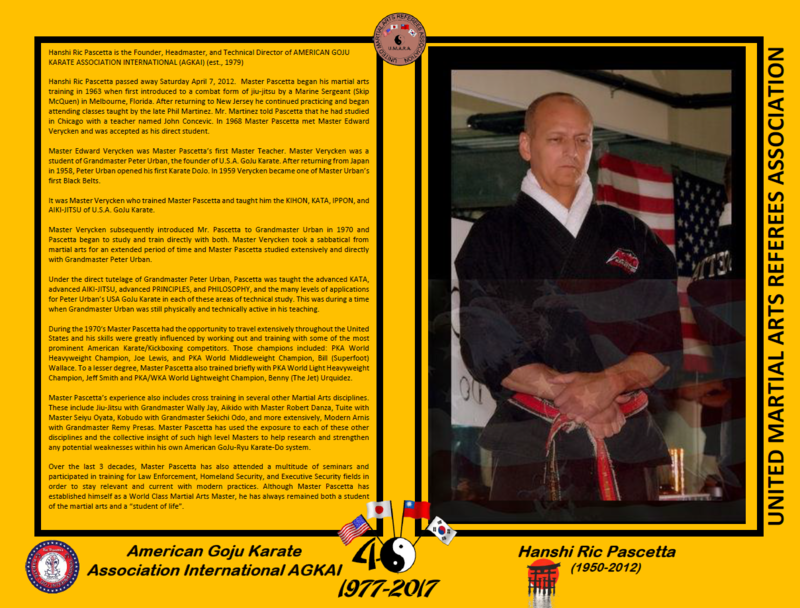 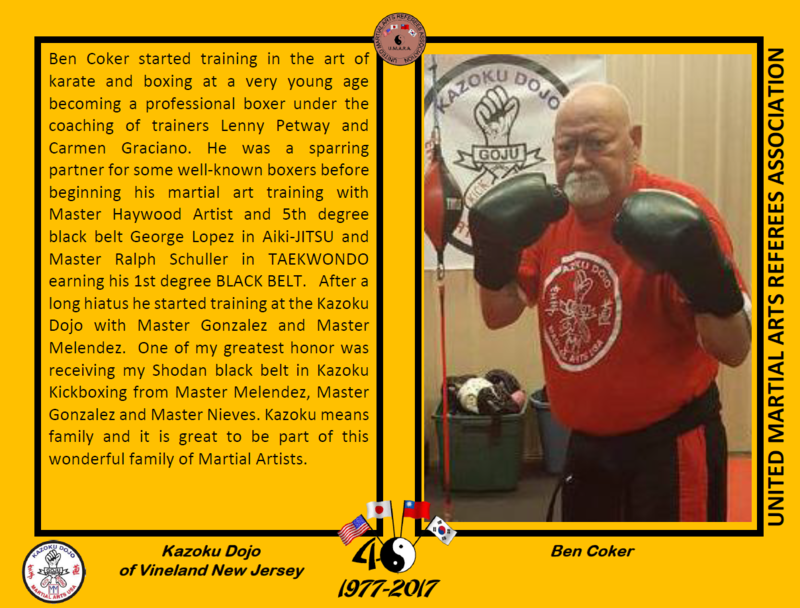 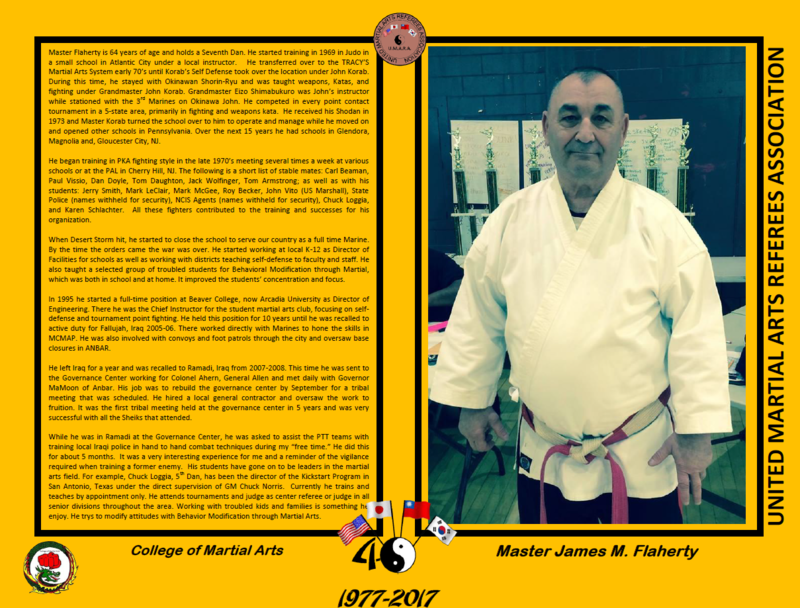 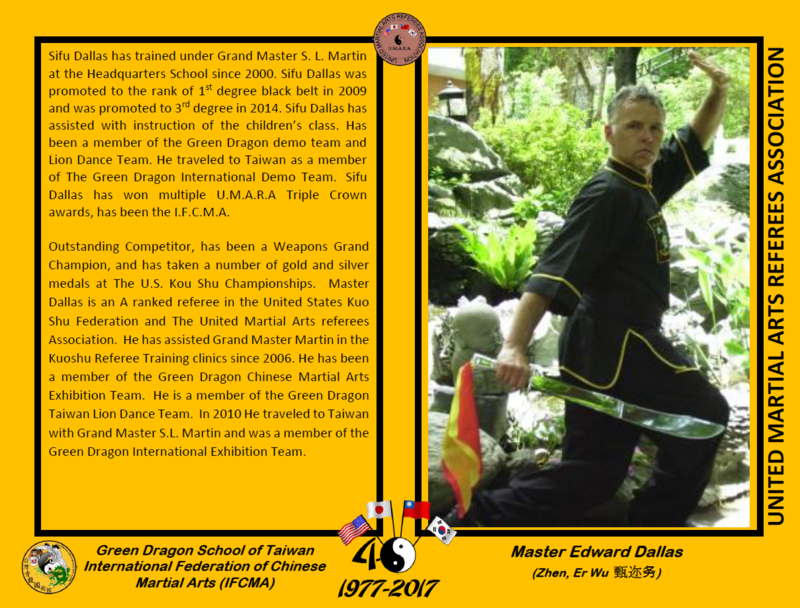 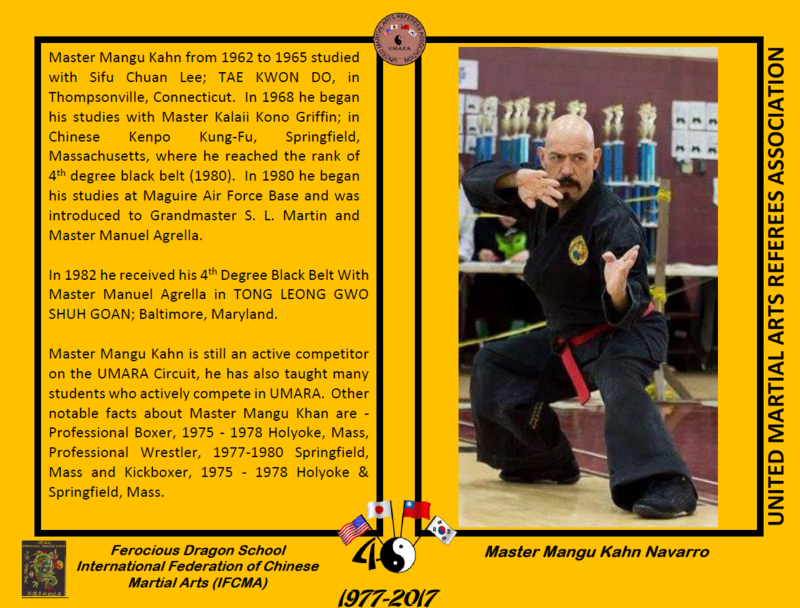 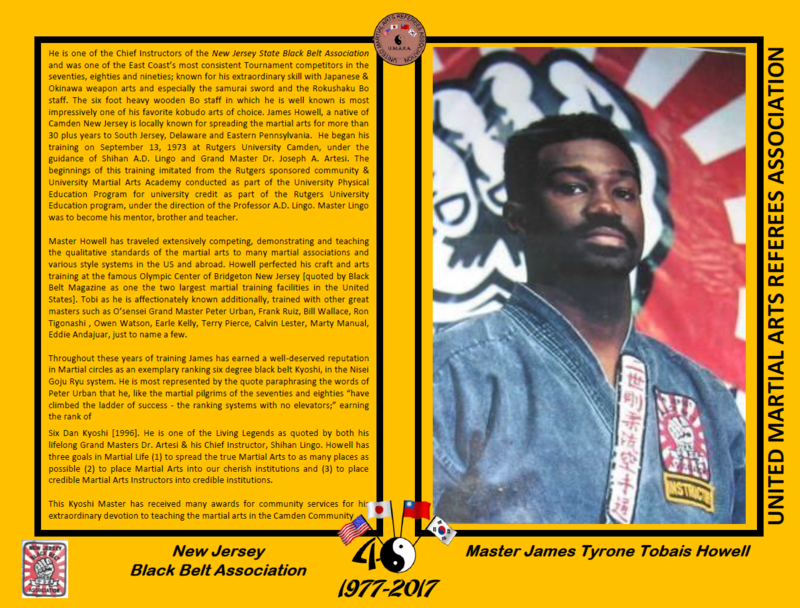 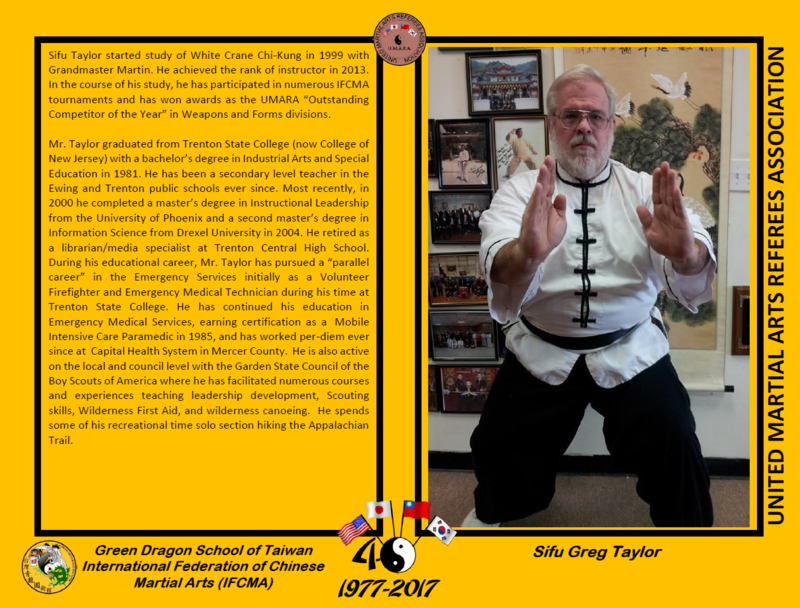 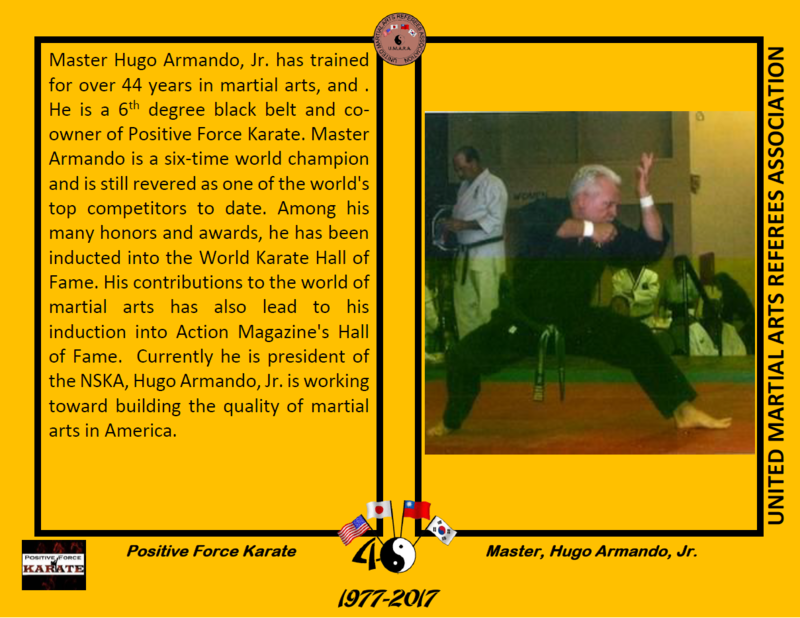 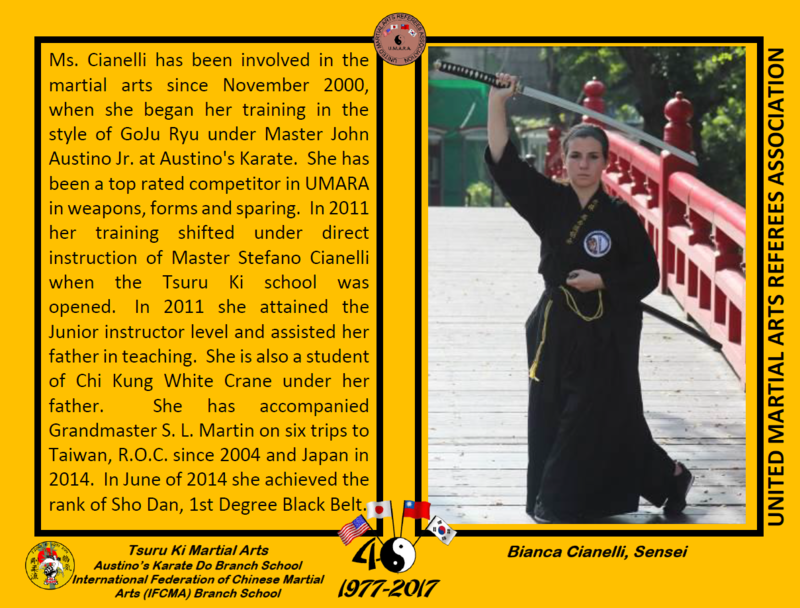 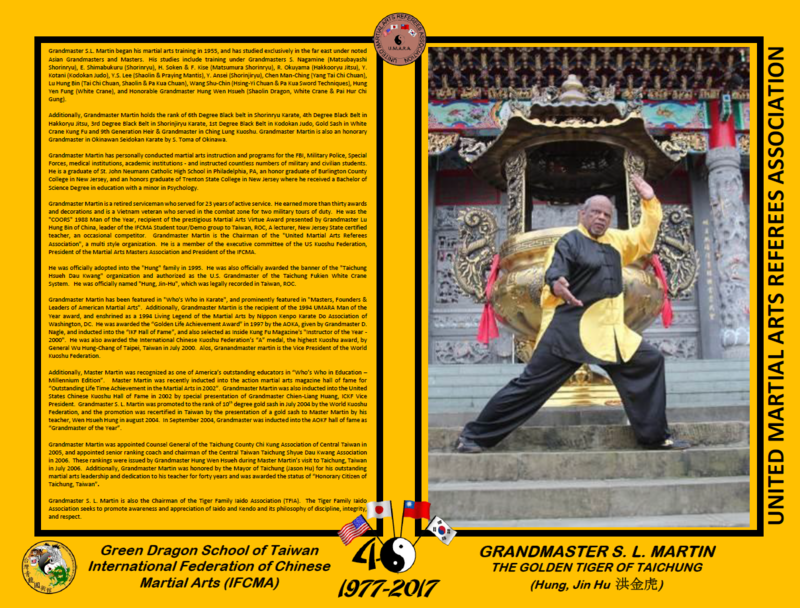 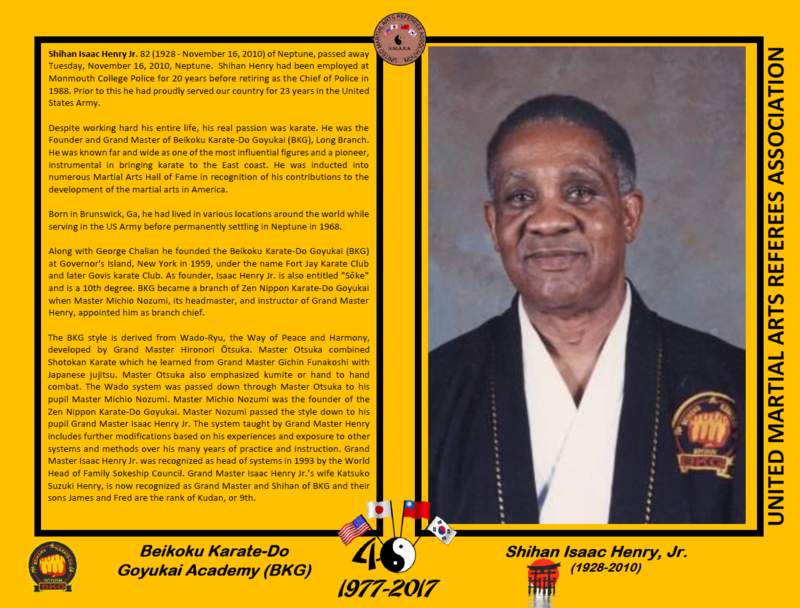 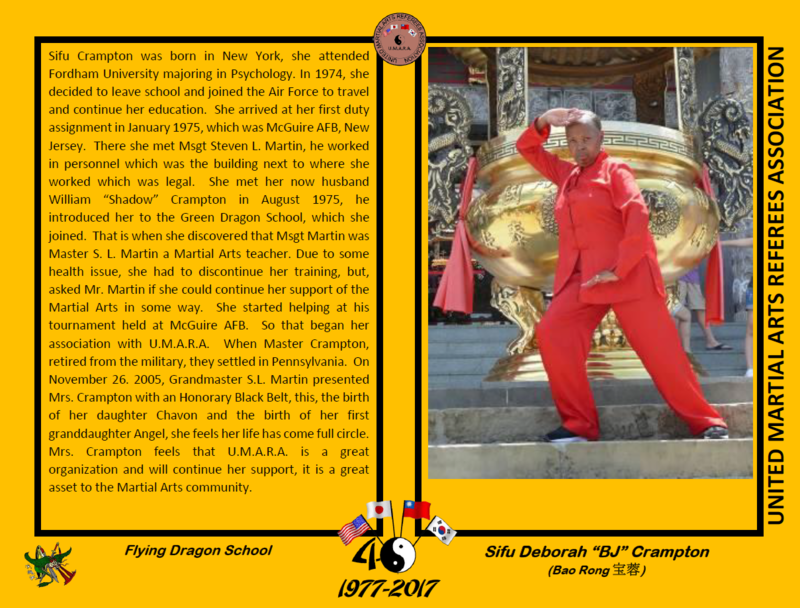 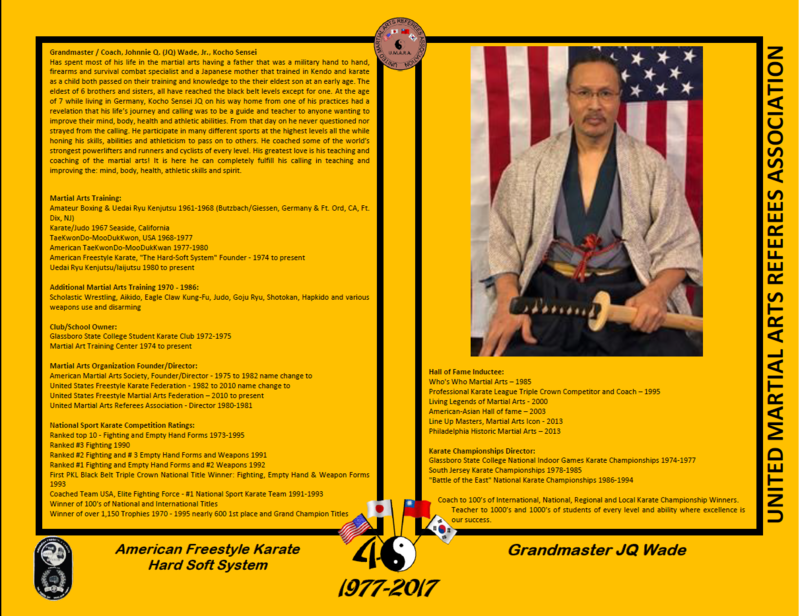 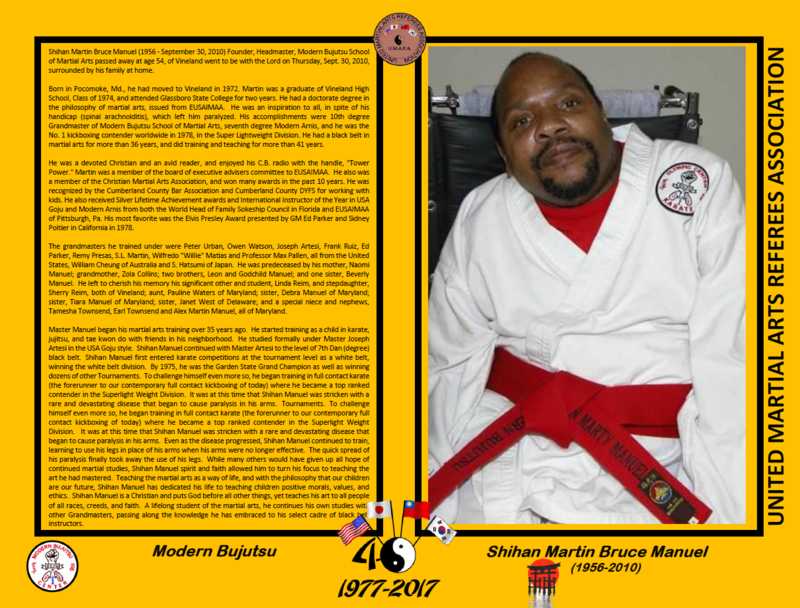 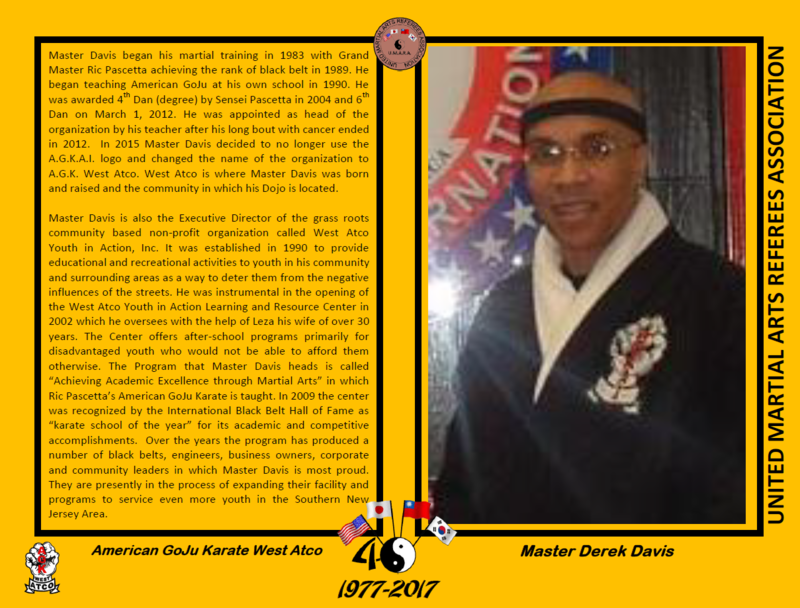 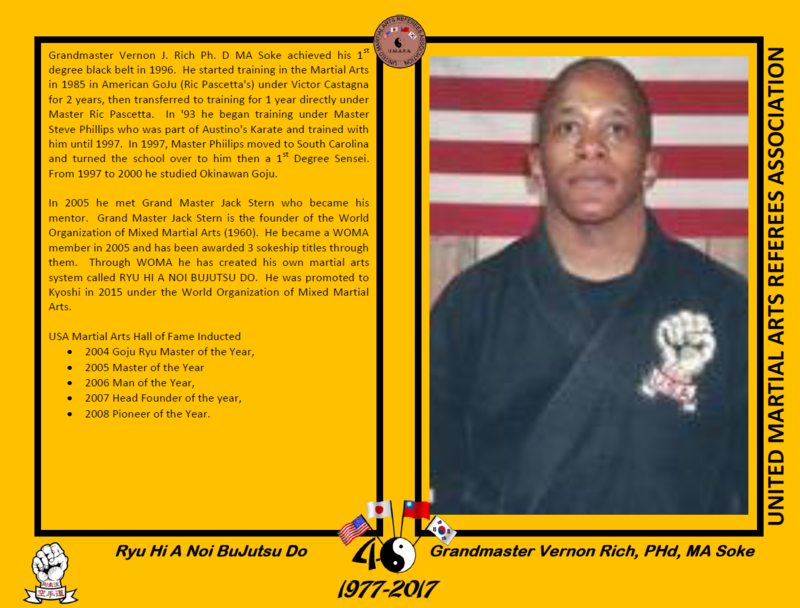 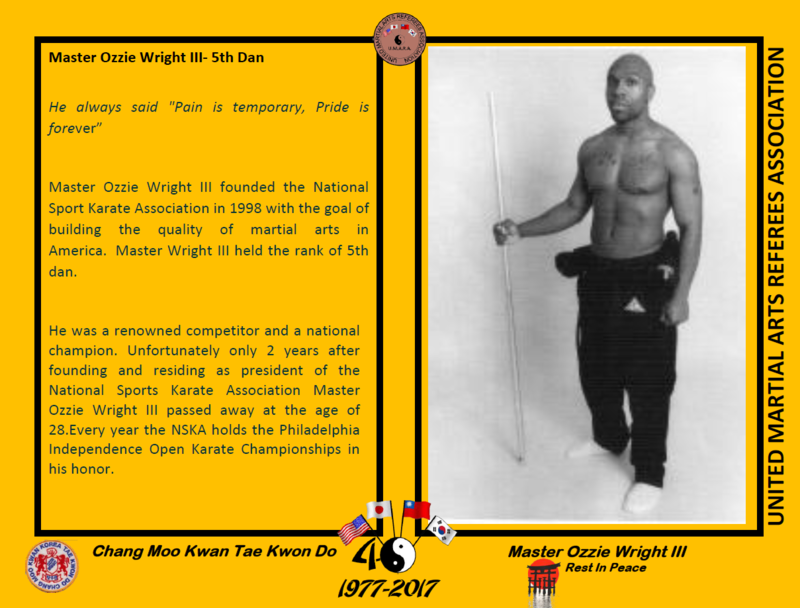 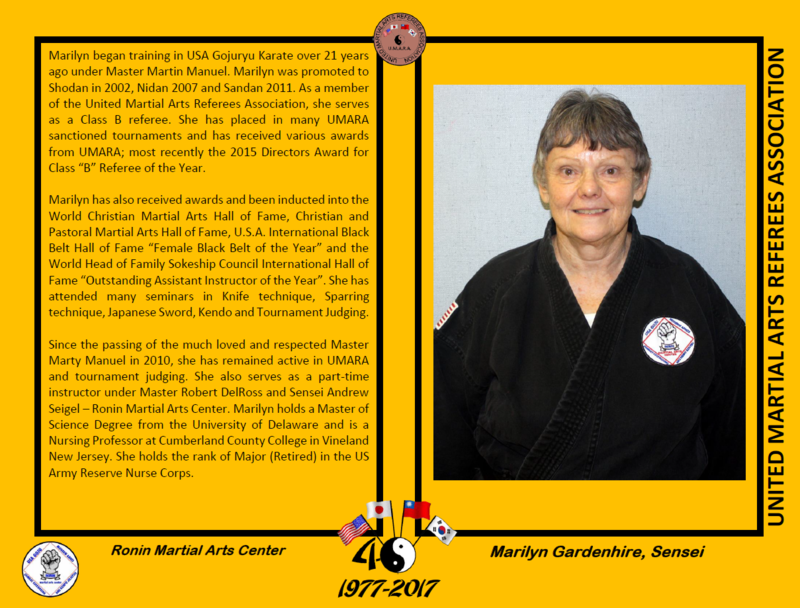 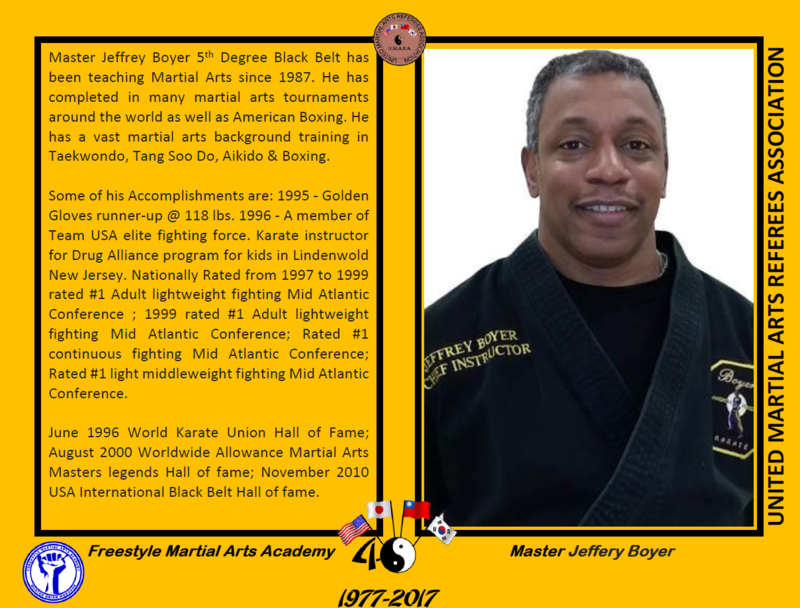 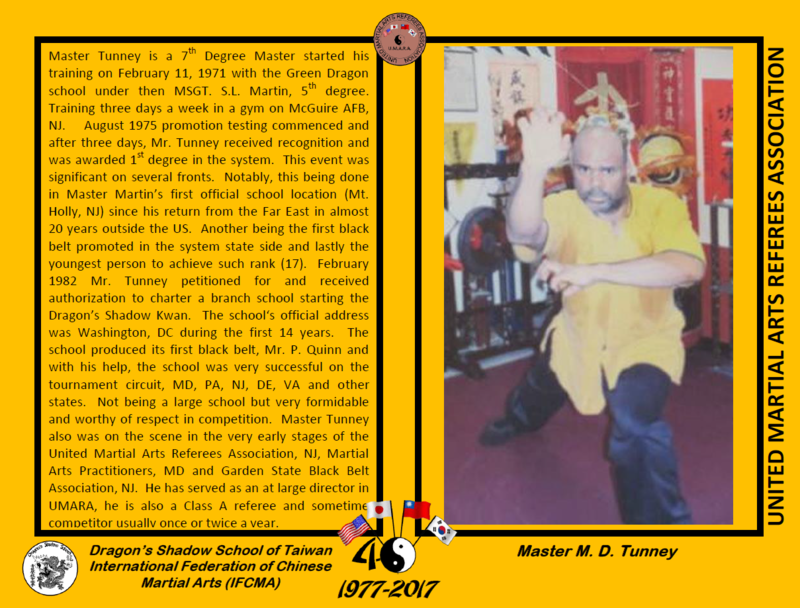 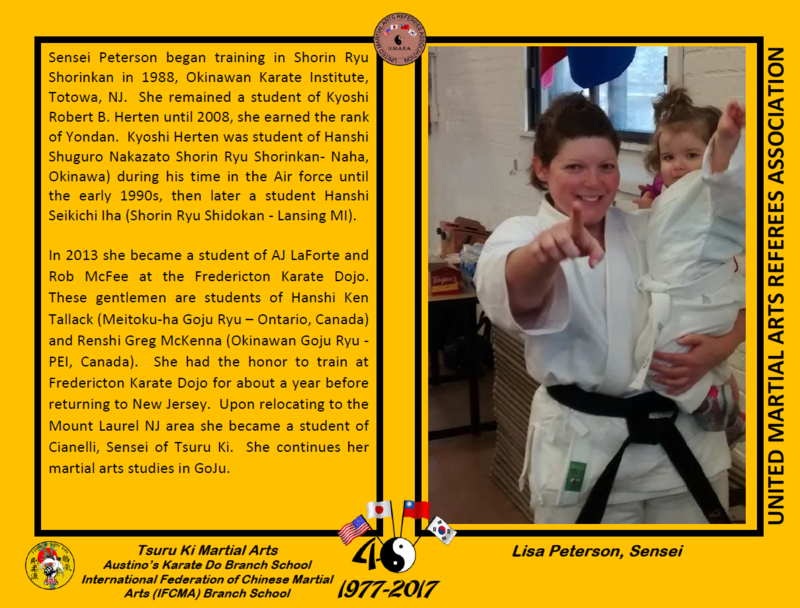 This is meant to be a historical reference for all martial artists in our community at large that whish to be represented. 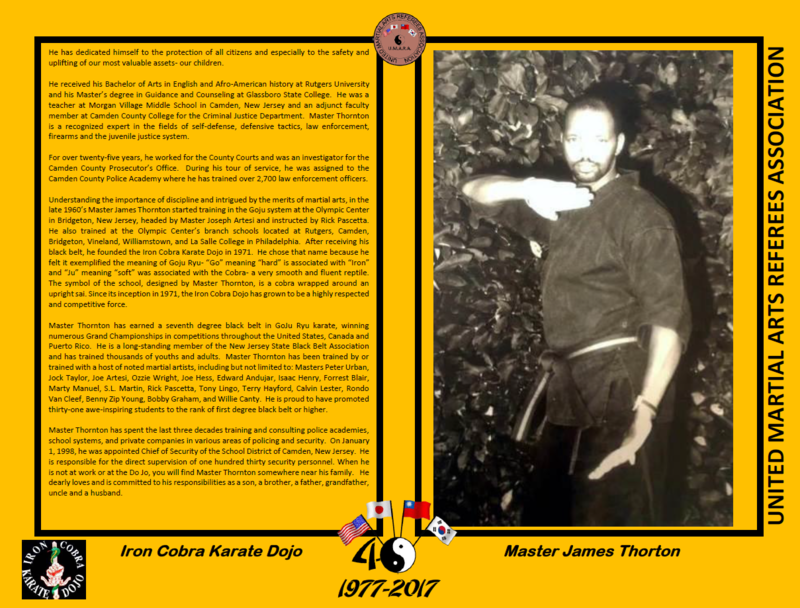 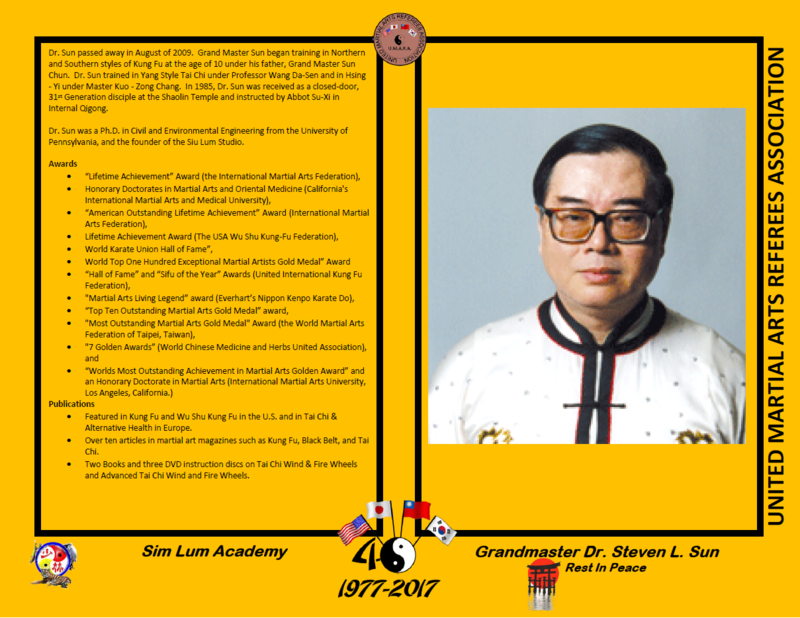 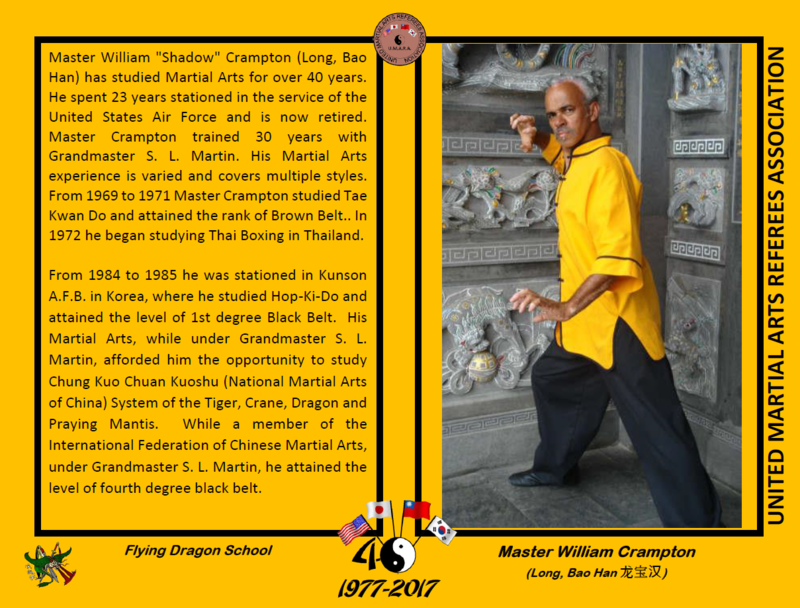 If you would like to be included please send us you picture and your Bio for inclusion on this page and in the subsequent 45th Anniversary 2022 4th Edition of the Book. 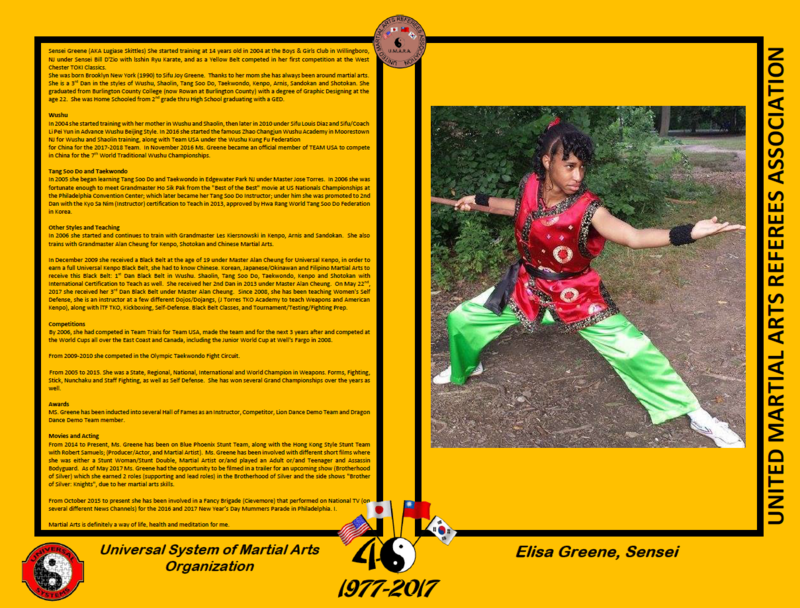 The 3rd Edition 2017 Who's Who Book is available for purchase at any UMARA Event for $25. 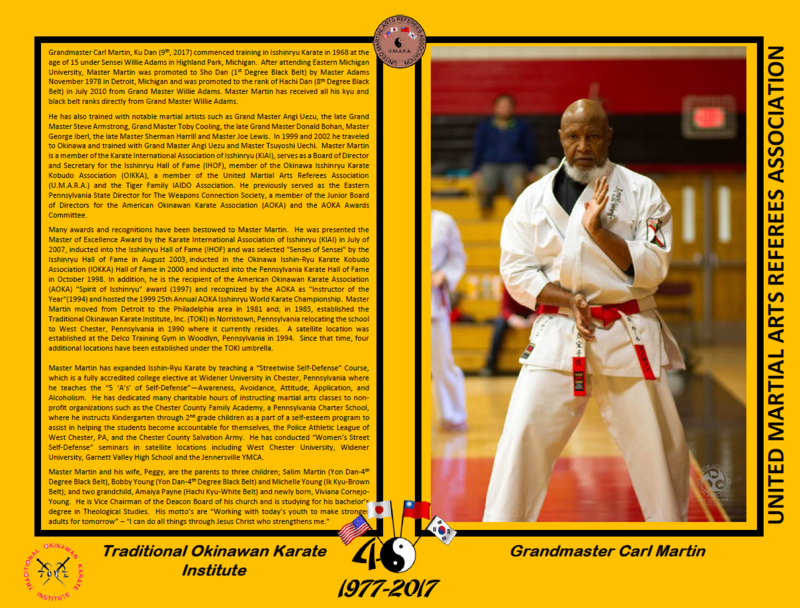 Limited Supplies Left. 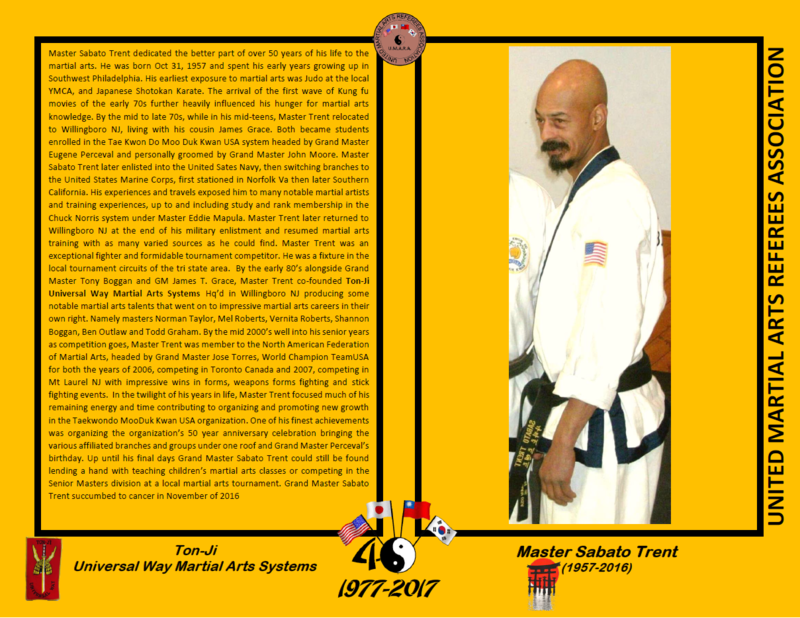 The UMARA Who's Who Book is updated every 5 years. 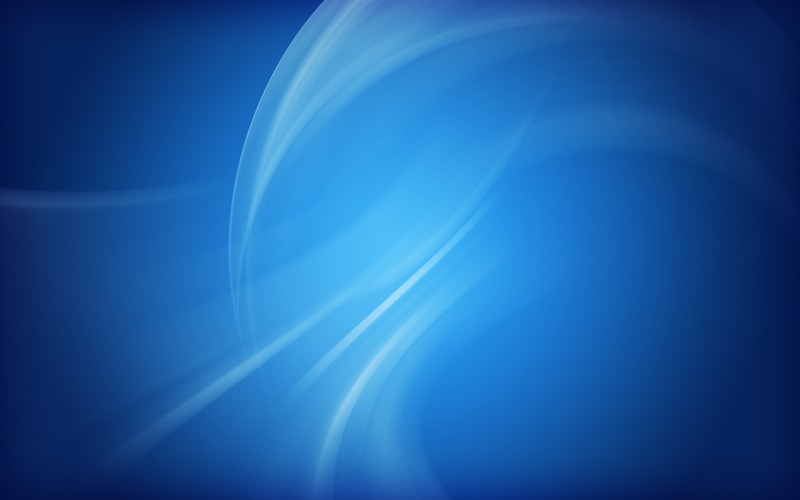 Membership in UMARA is not a prerequisite for inclusion. 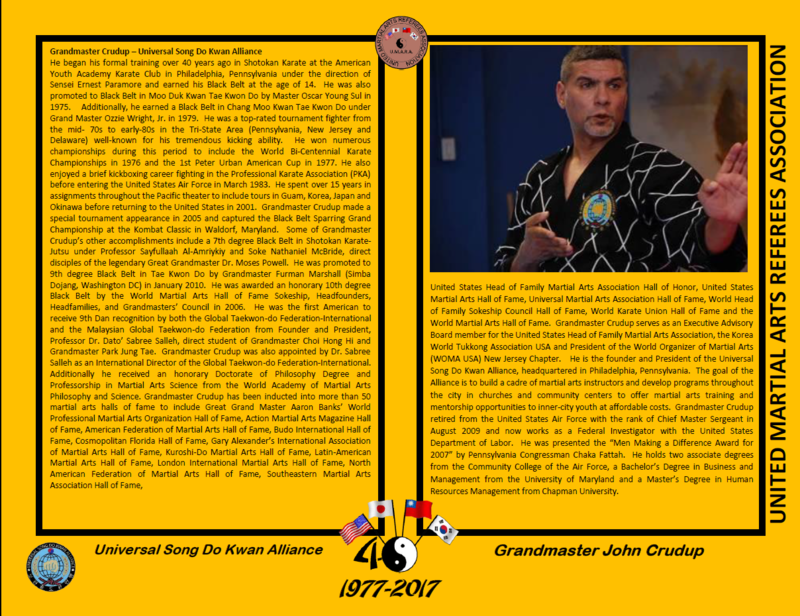 The following information has been submitted to UMARA by the individuals. 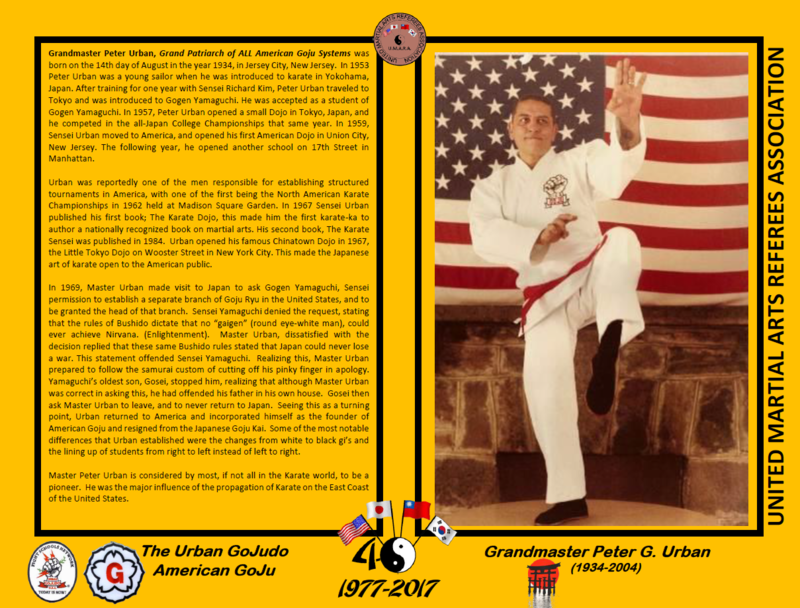 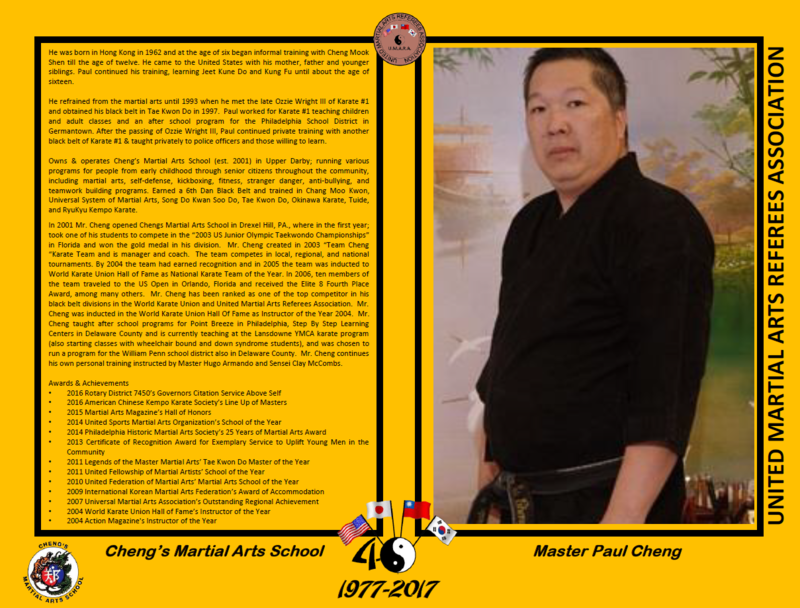 This page, and all contents Copyright © 1998-2018 by the United Martial Arts Referees Association, "United Martial Arts Referees Association" and it's logo are a registered trademark of the United Martial Arts Referees Association.